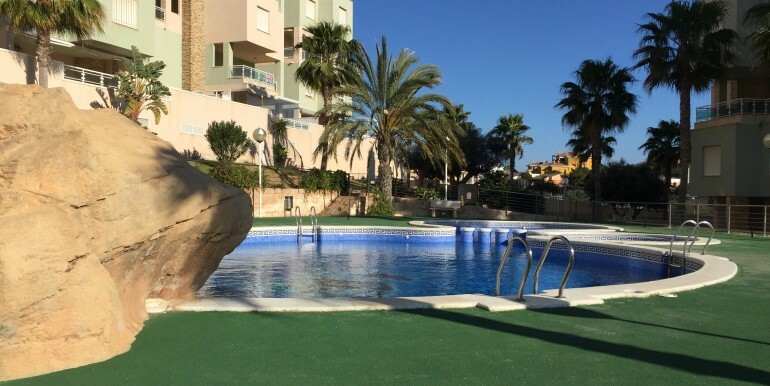 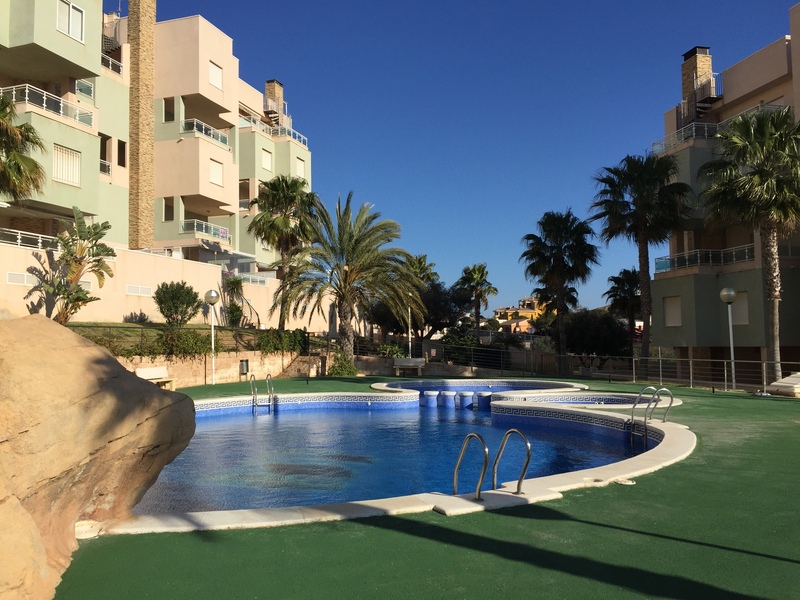 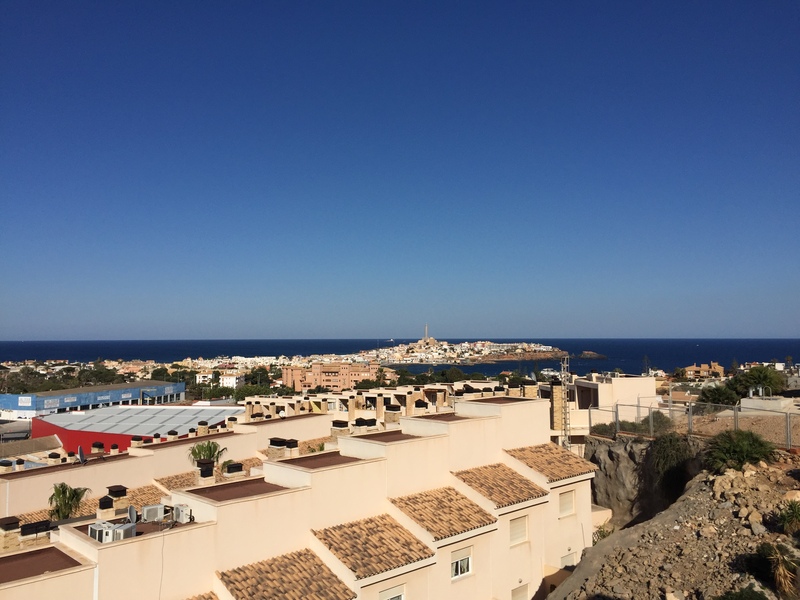 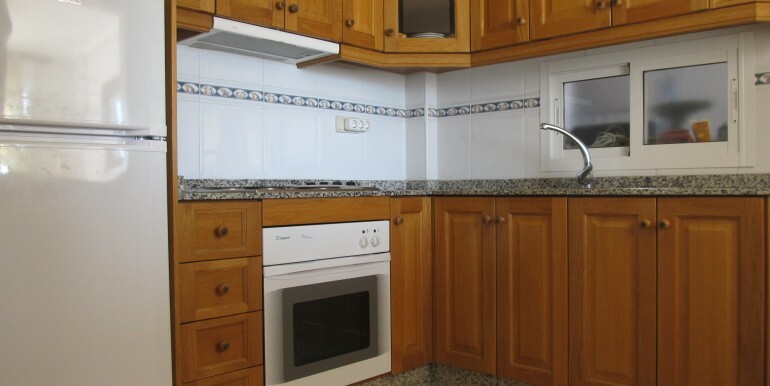 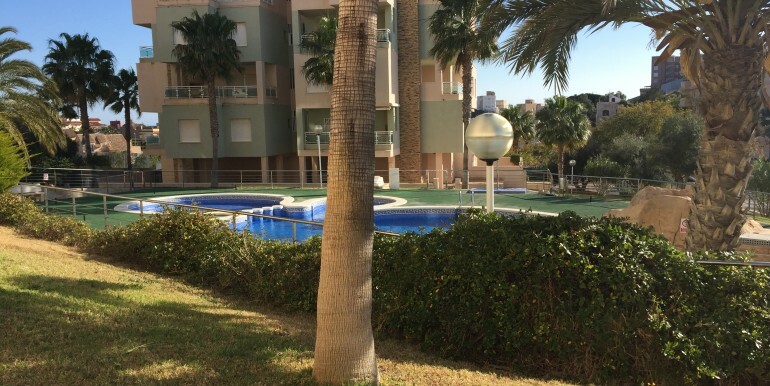 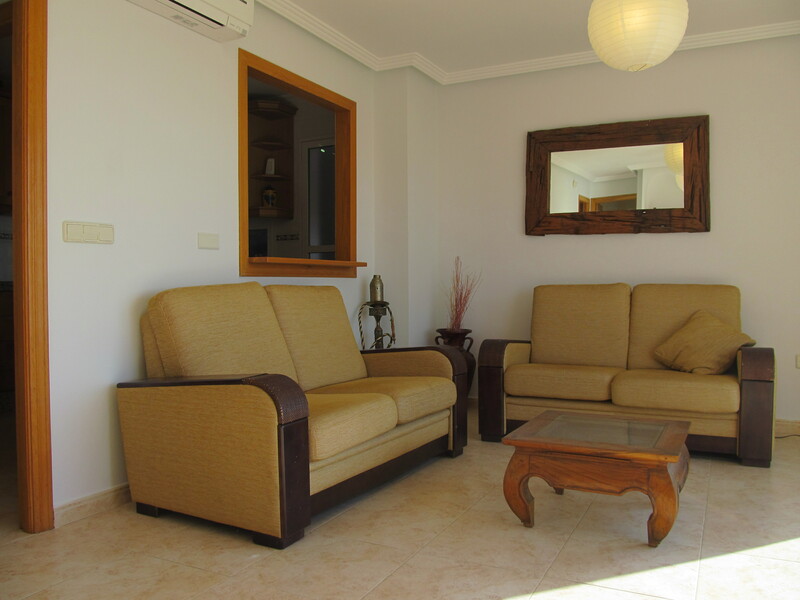 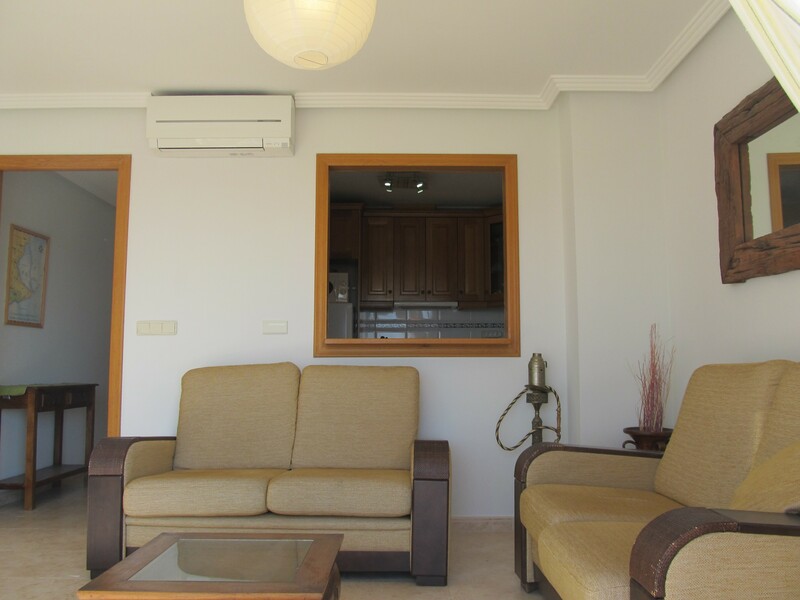 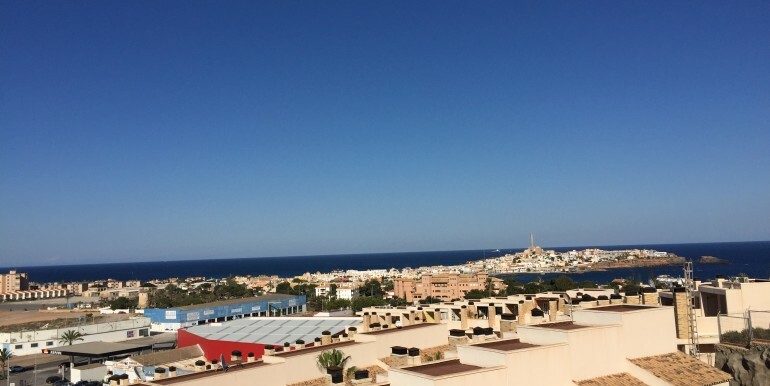 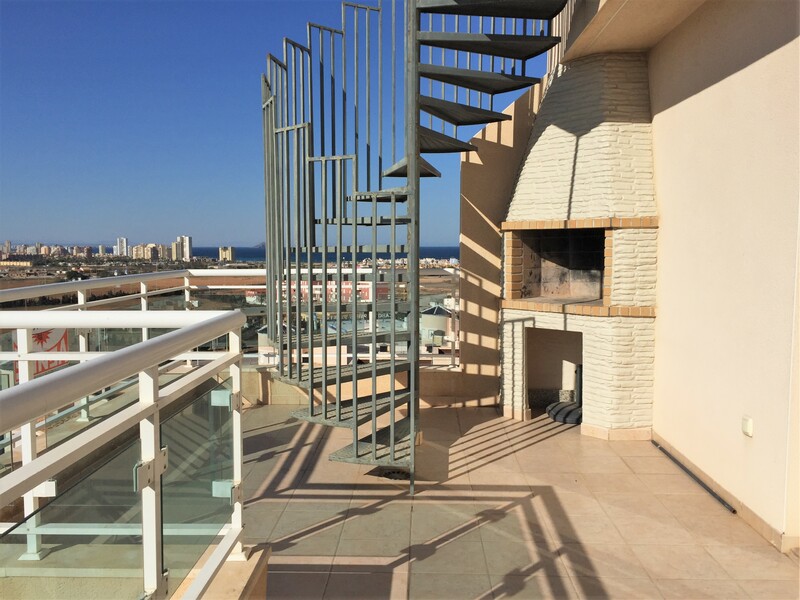 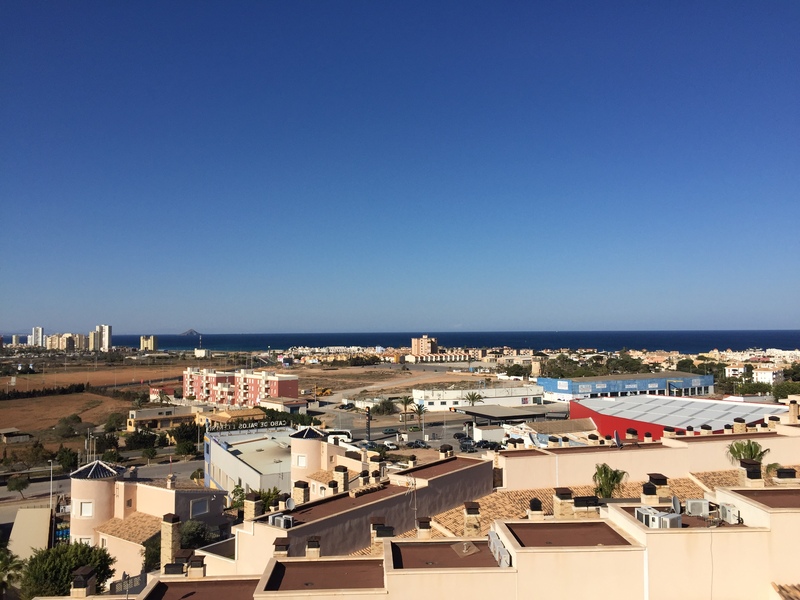 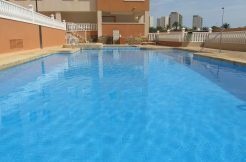 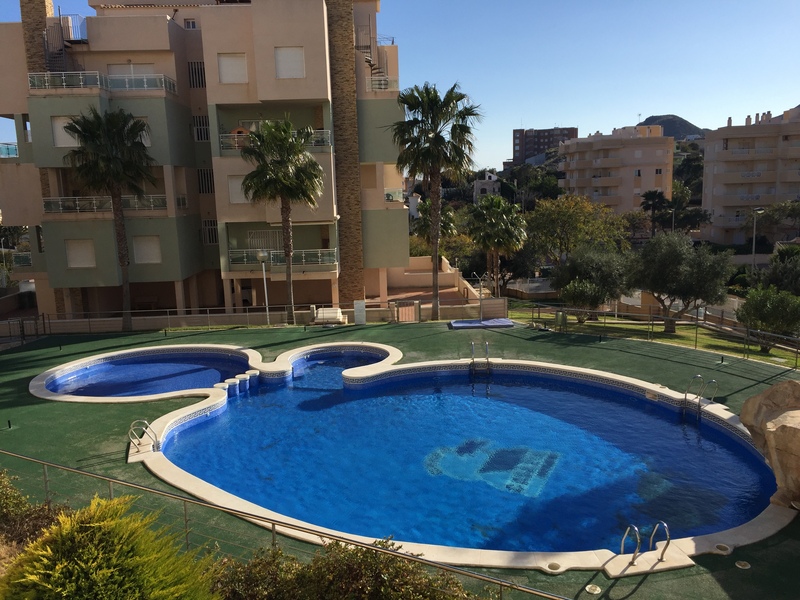 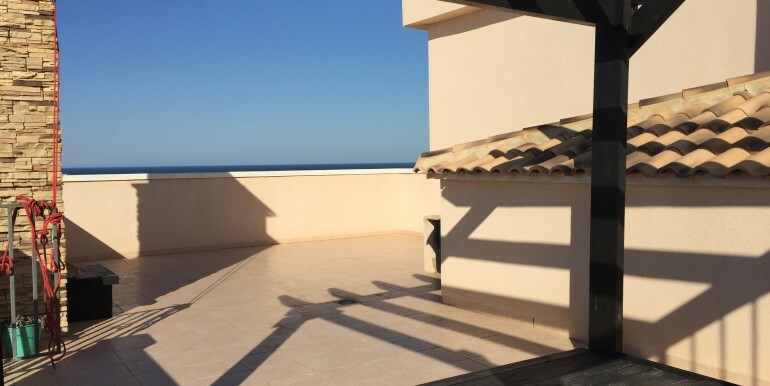 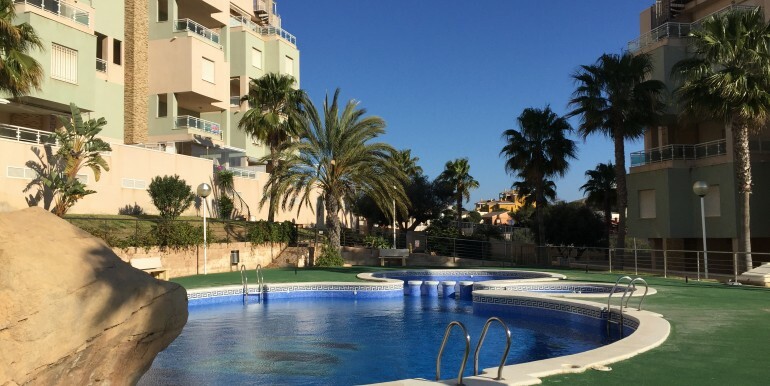 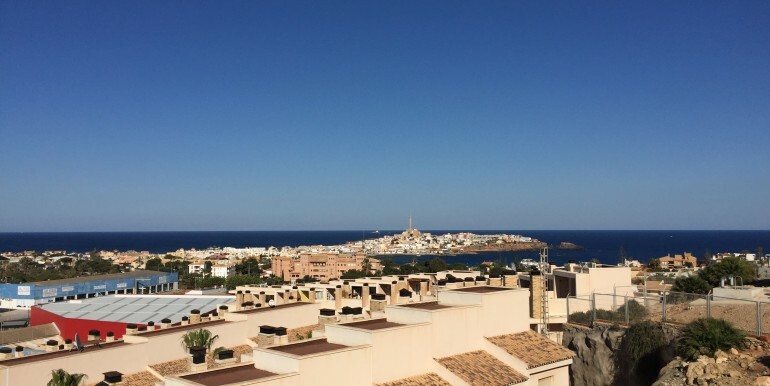 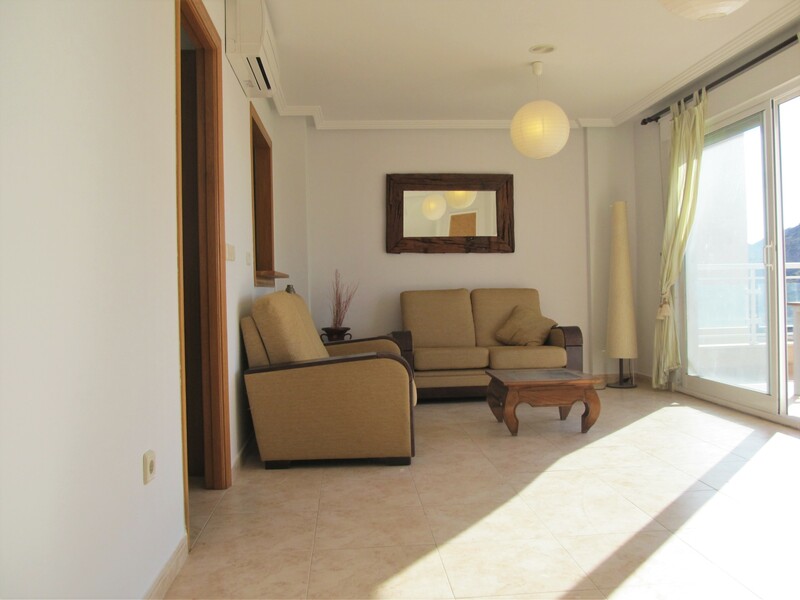 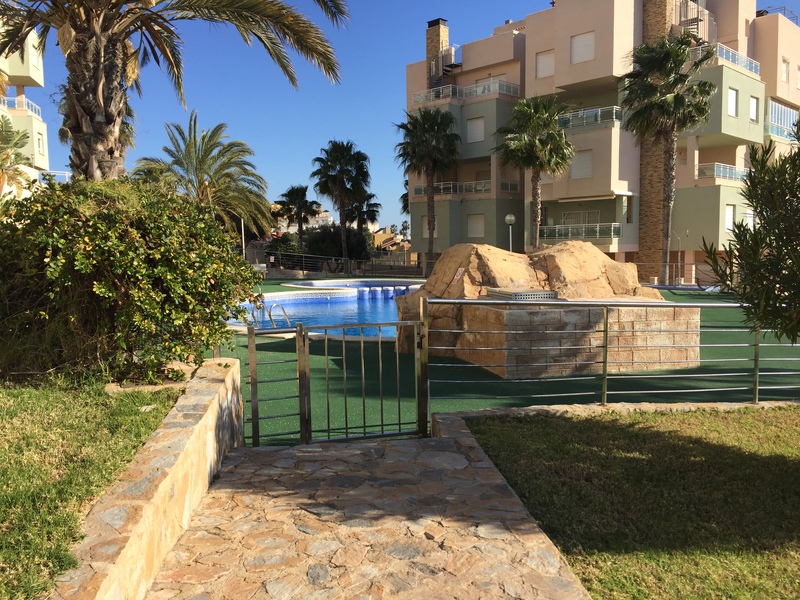 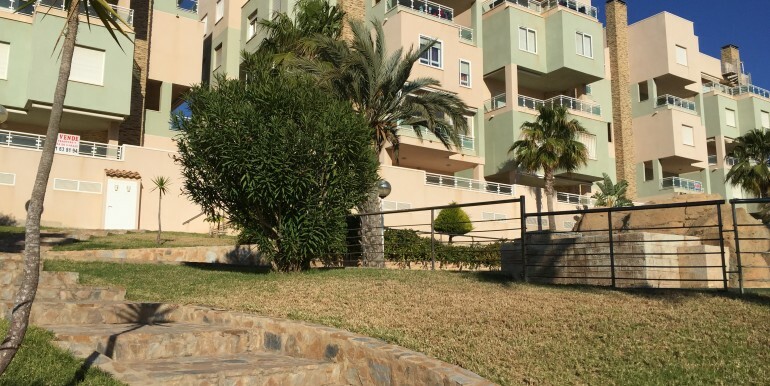 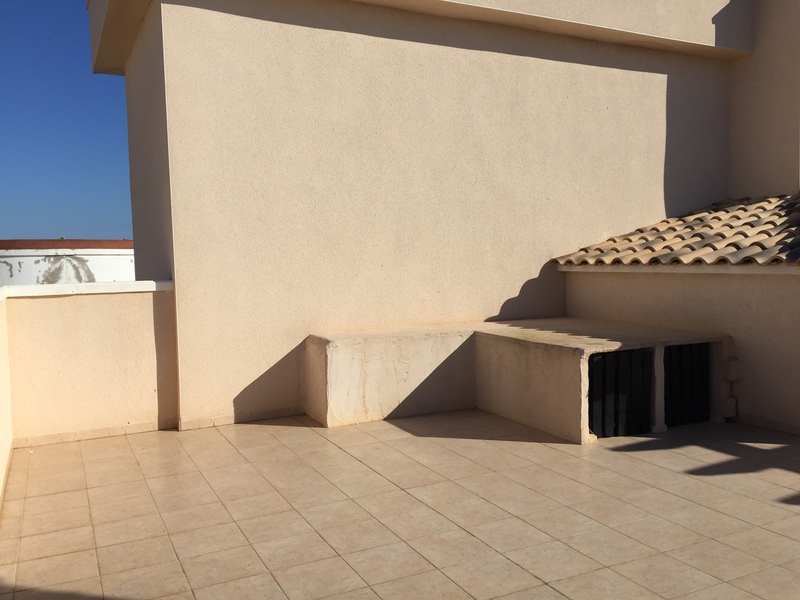 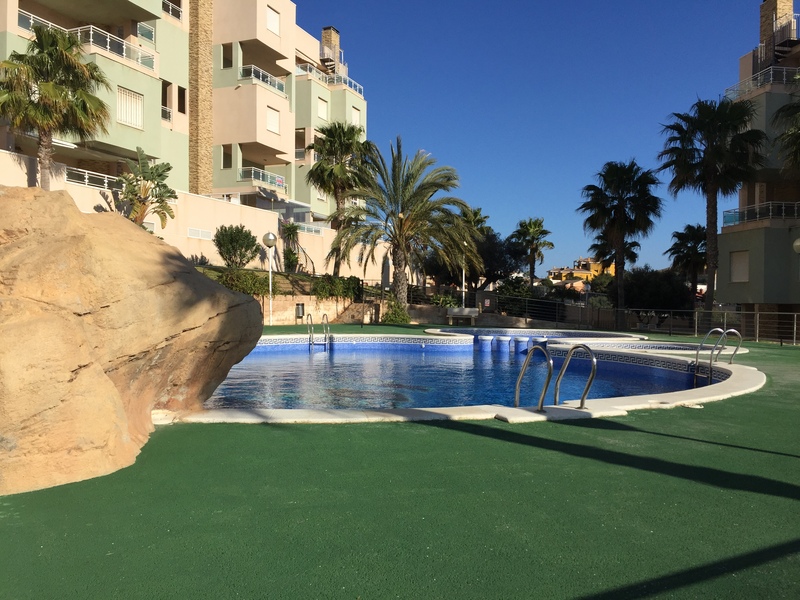 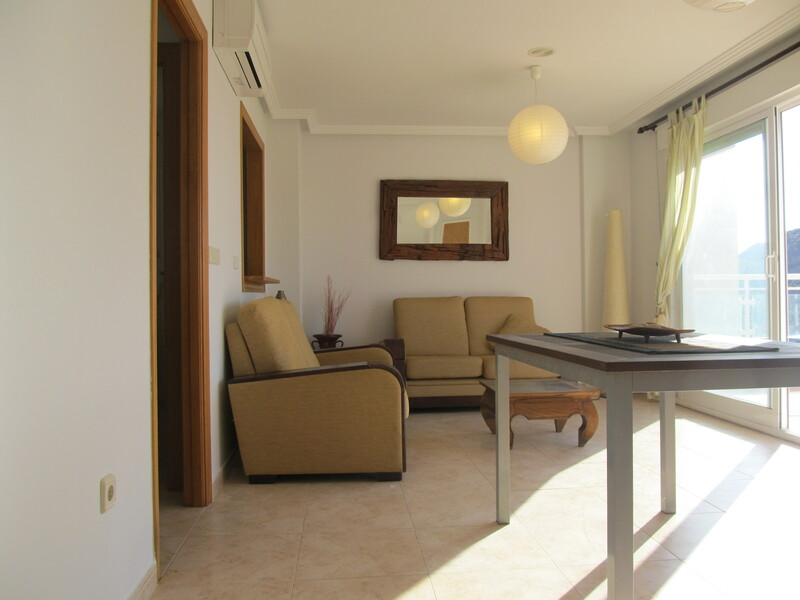 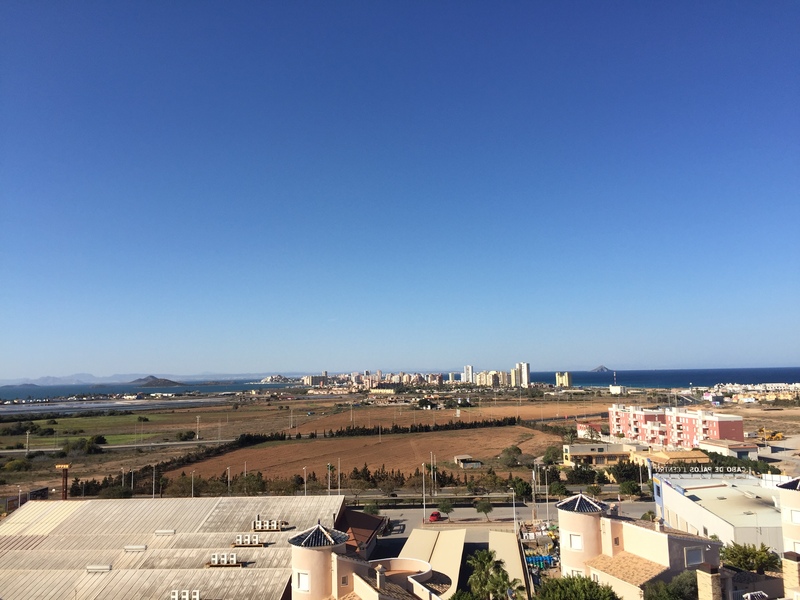 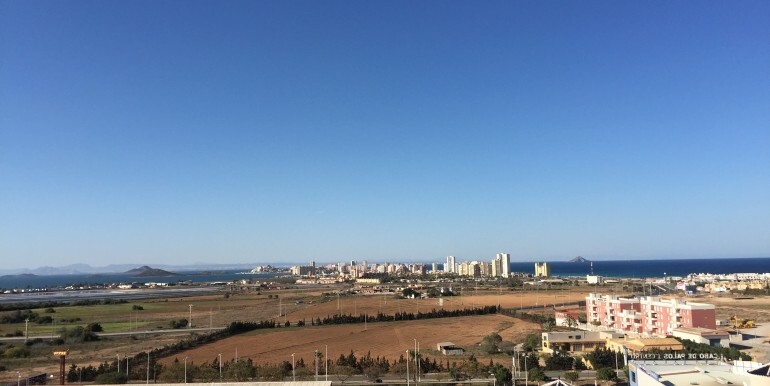 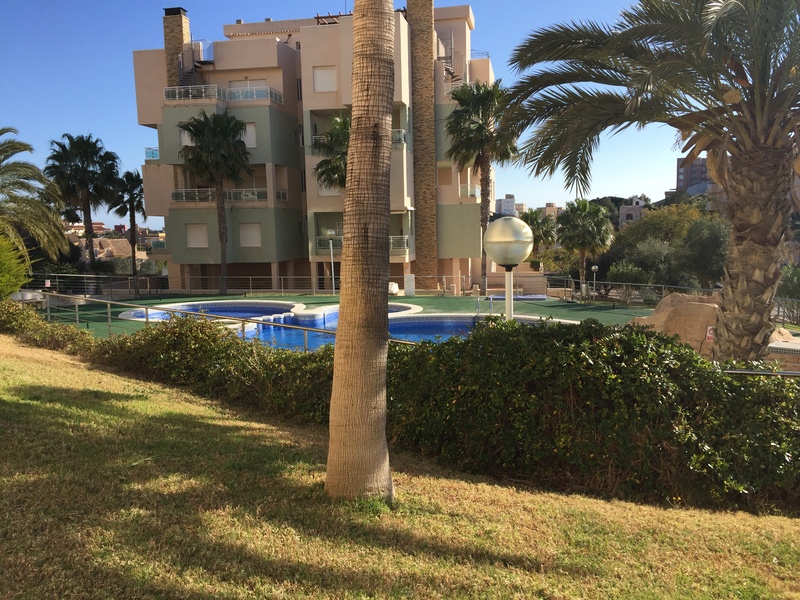 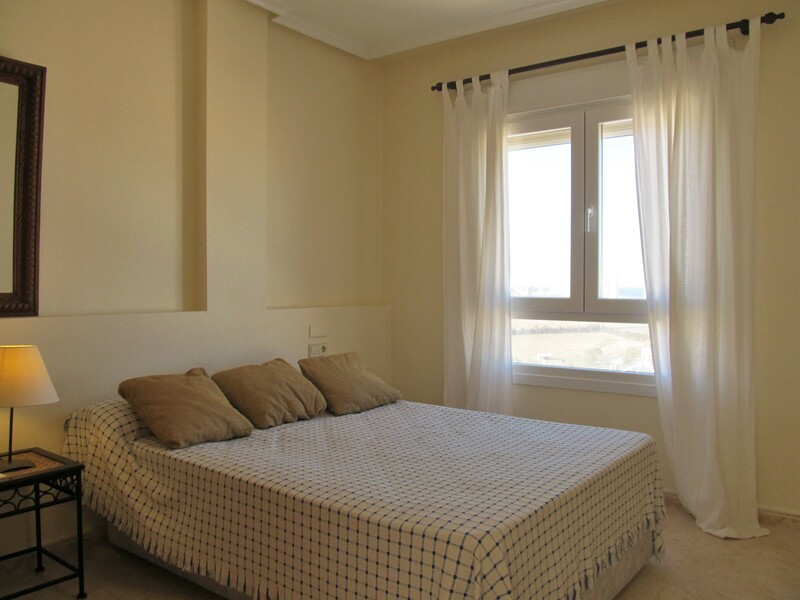 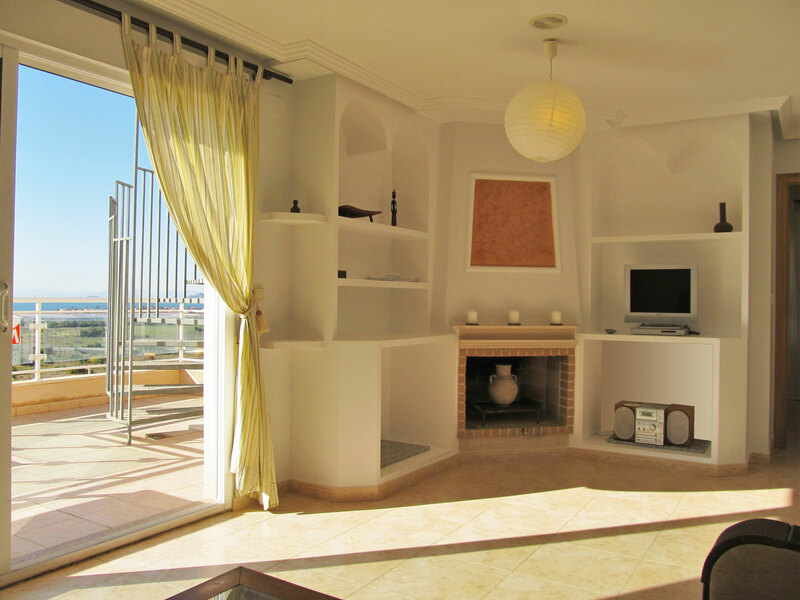 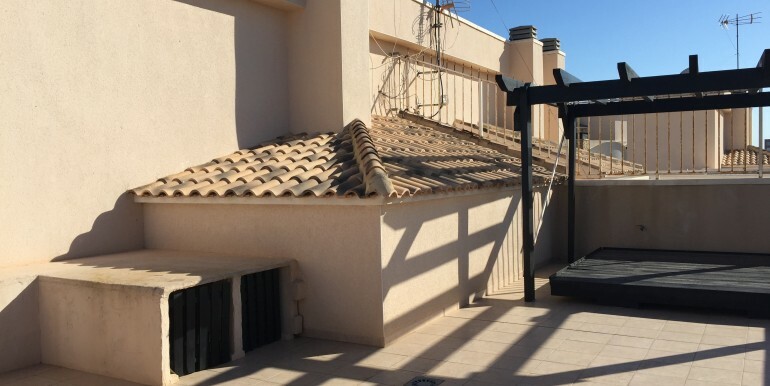 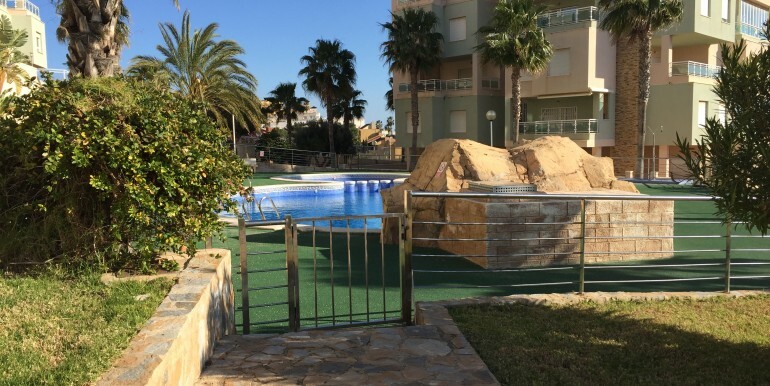 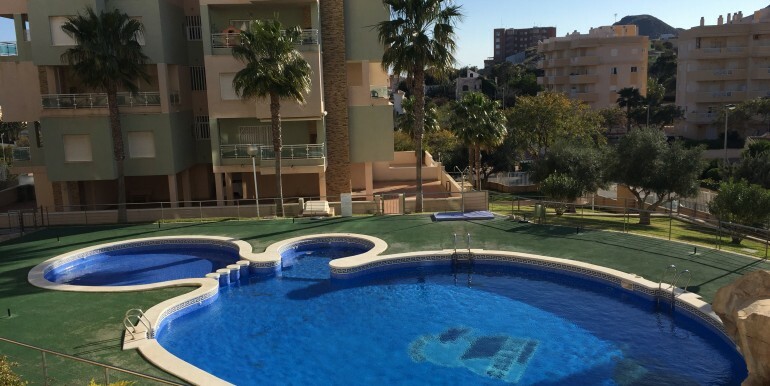 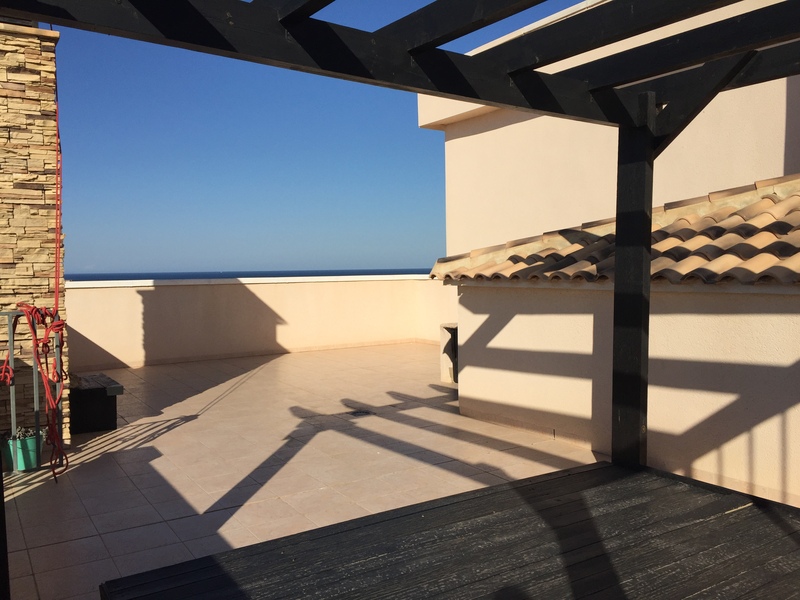 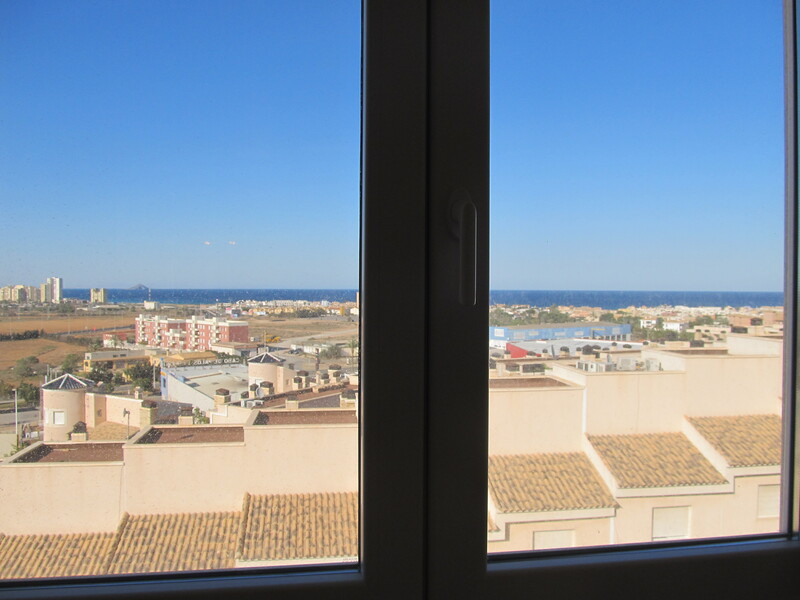 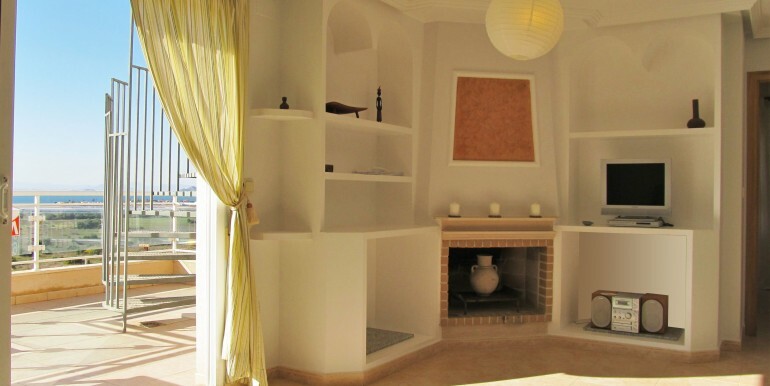 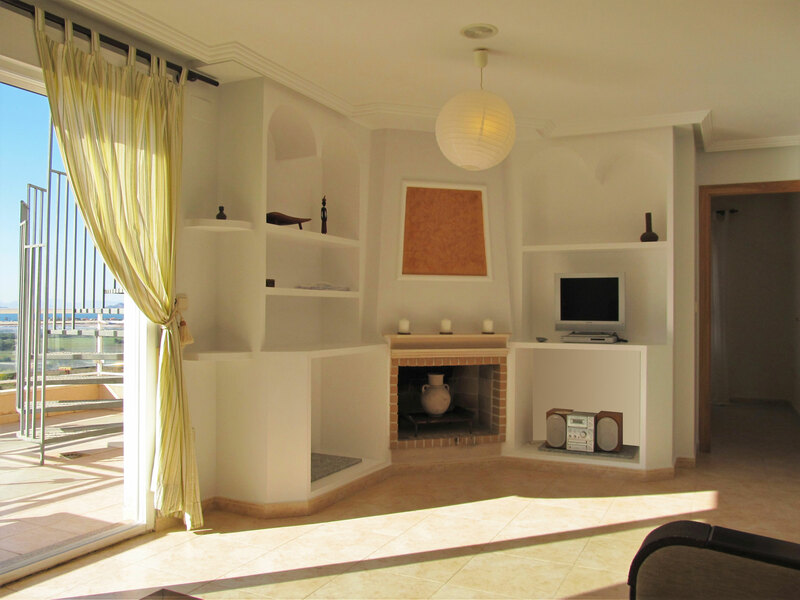 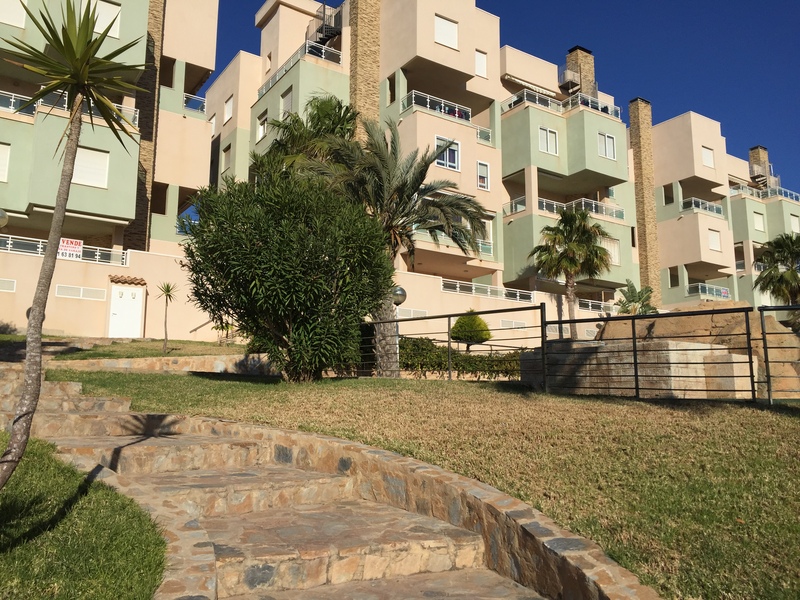 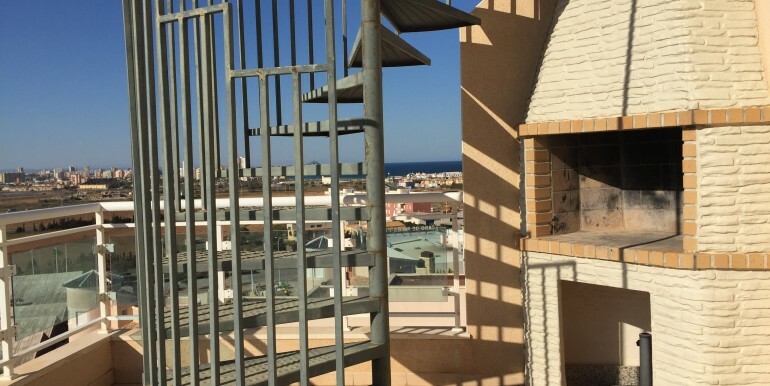 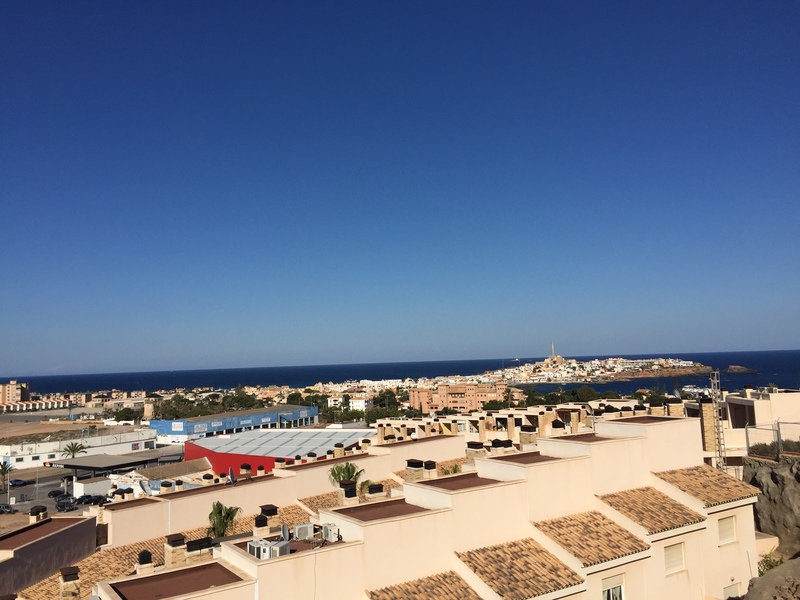 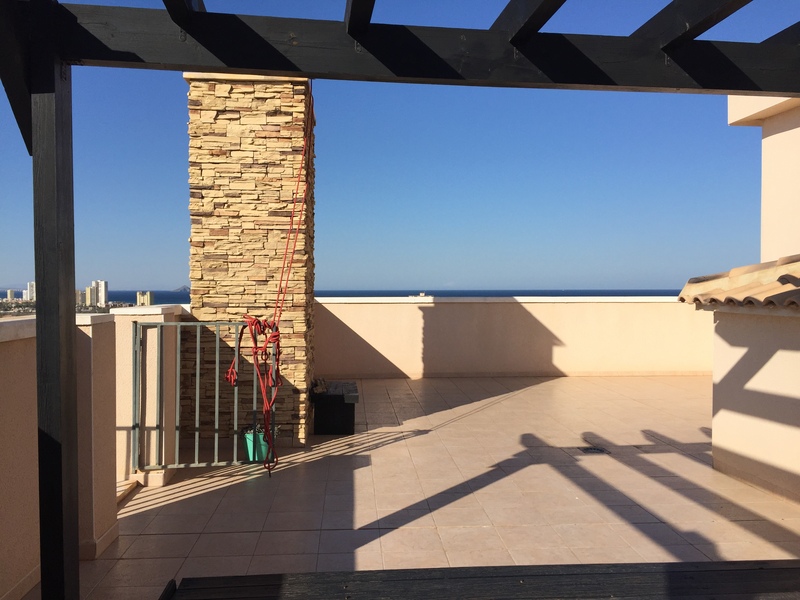 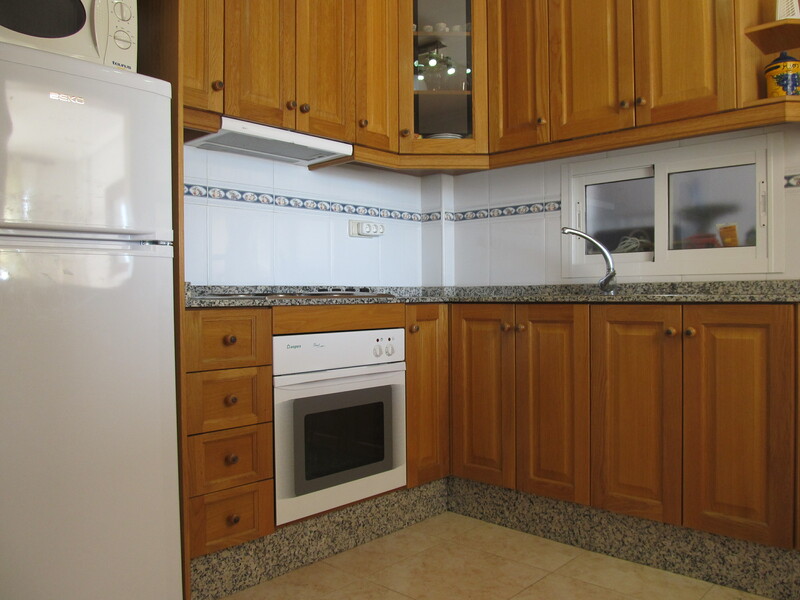 This lovely 2 bedroom penthouse is located in Cala Flores, in the development Cala Azul, Cabo de Palos. 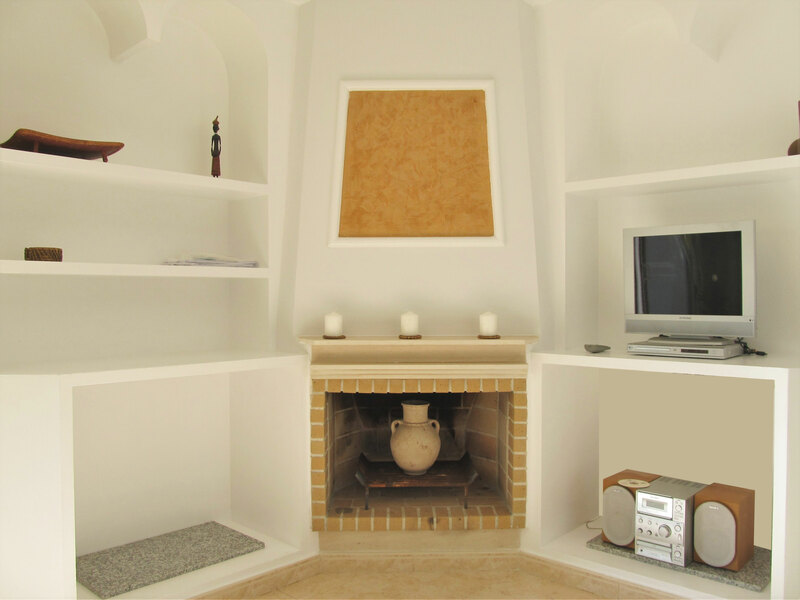 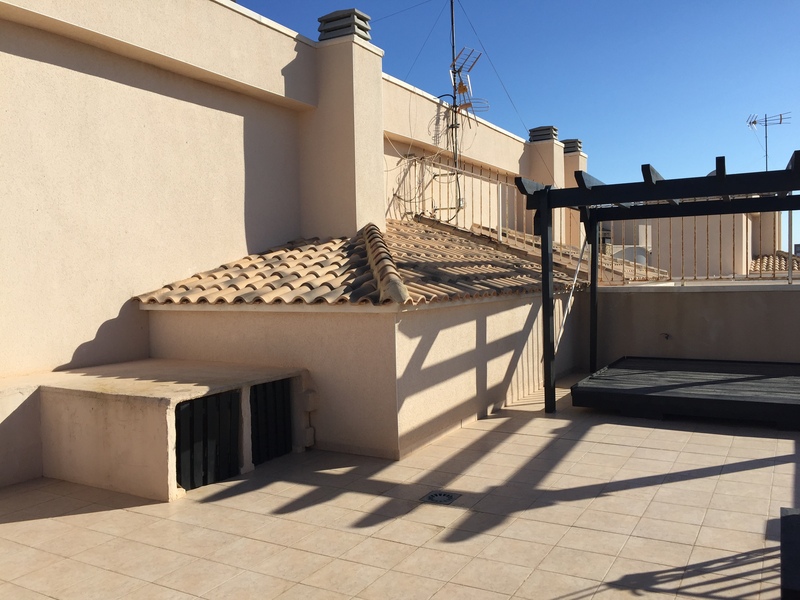 The property is fully aircondtioned with both hot & cold in both bedrooms and the living room, has a full bathroom with overbath shower, independent kitchen with galley area and a bright and airy living room with access onto a terrace with bbq. 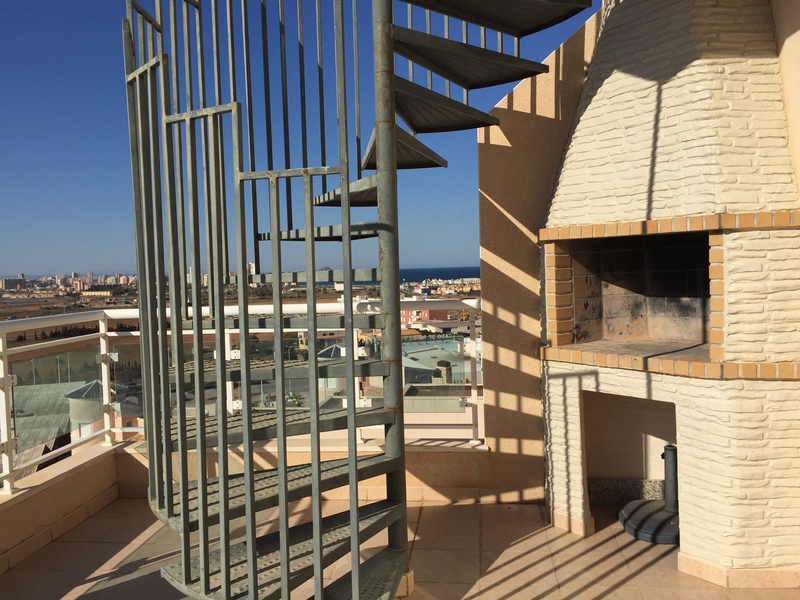 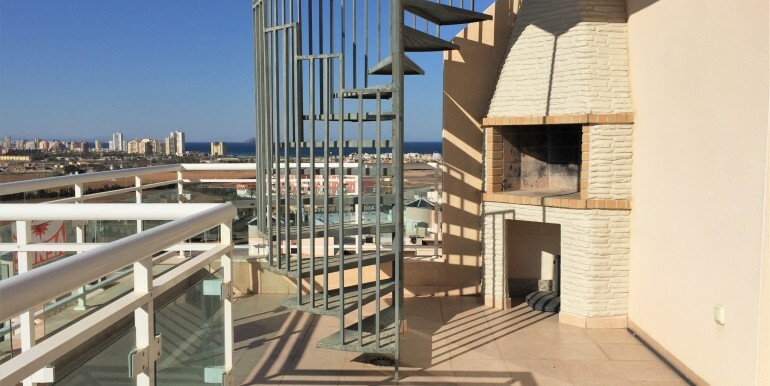 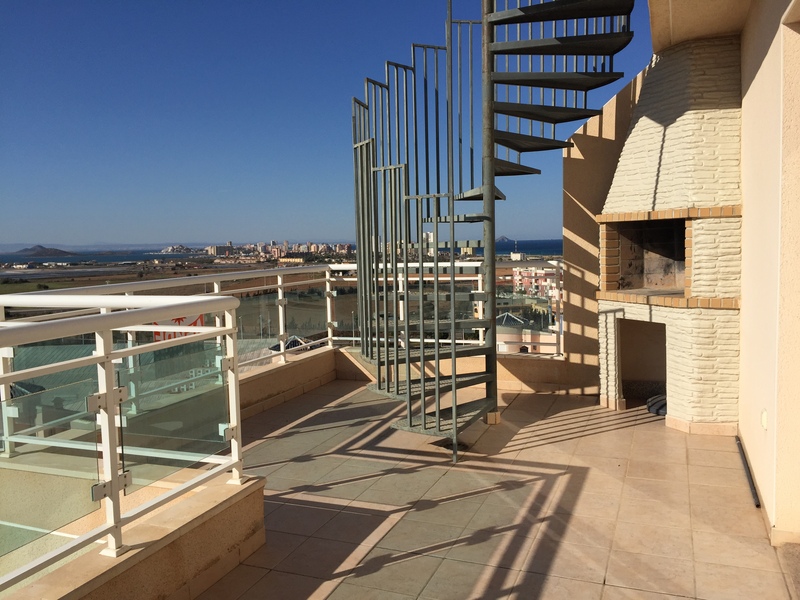 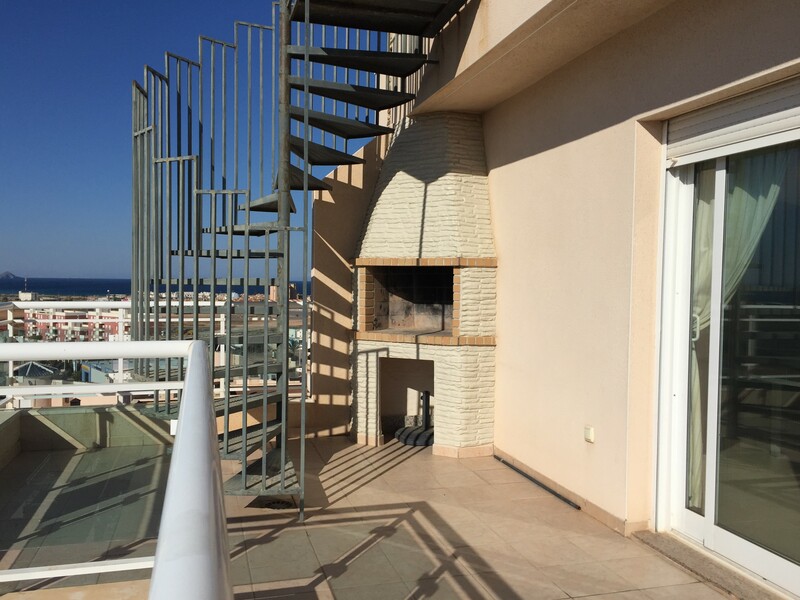 A spiral staircase then gives access to a huge solarium with amazing views reaching all the way round to Cabo de Palos lighthouse. 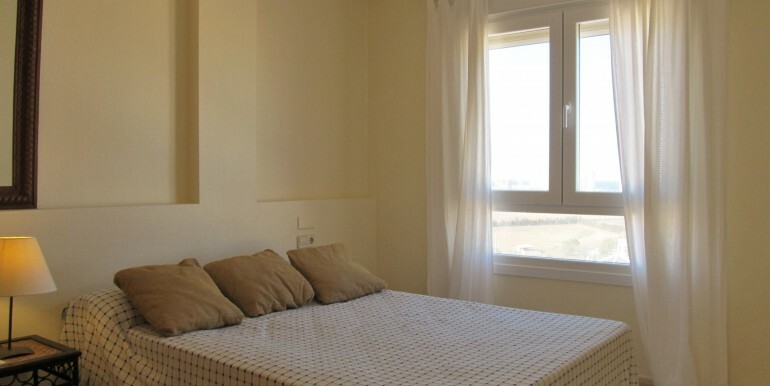 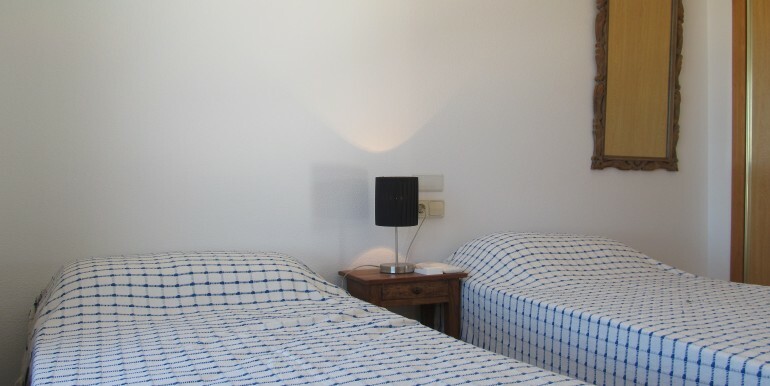 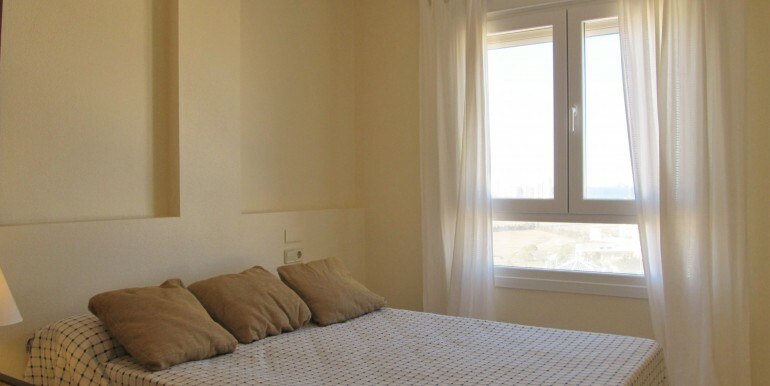 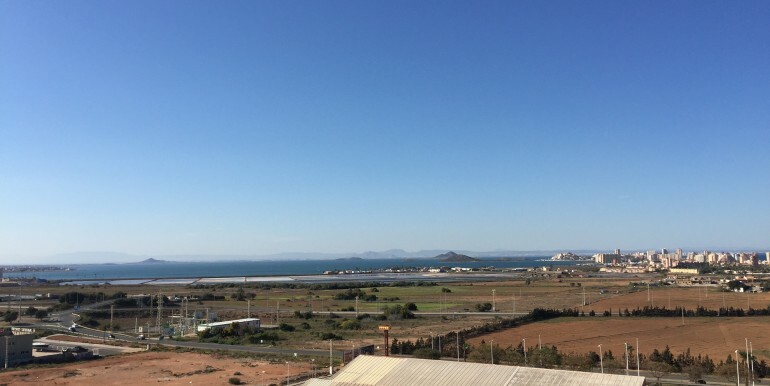 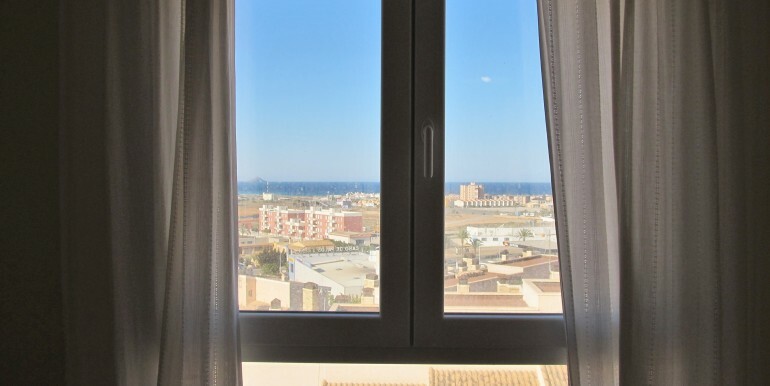 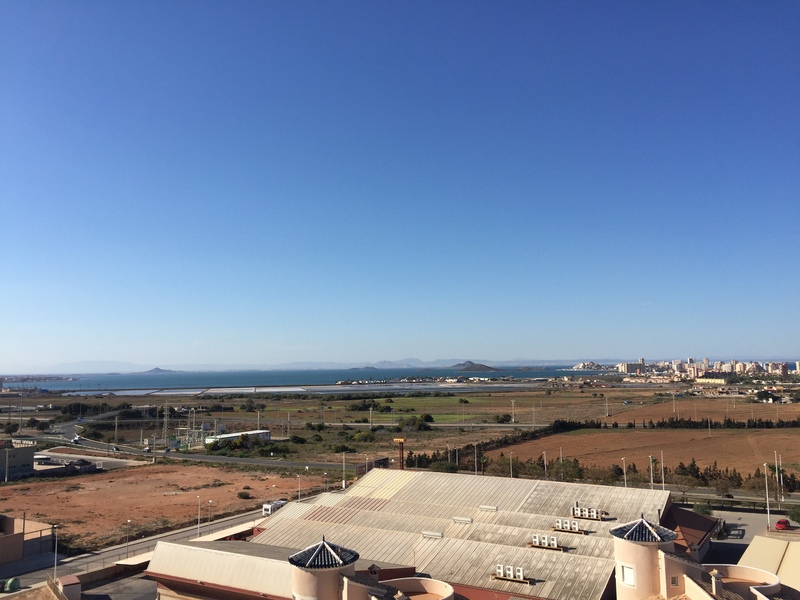 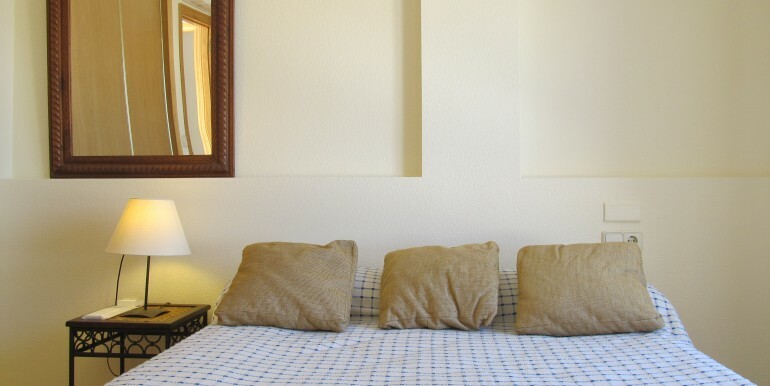 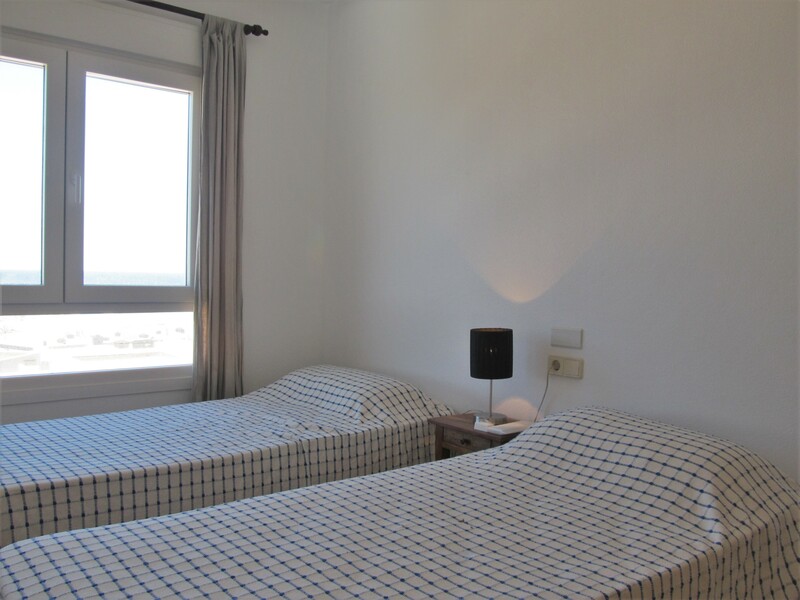 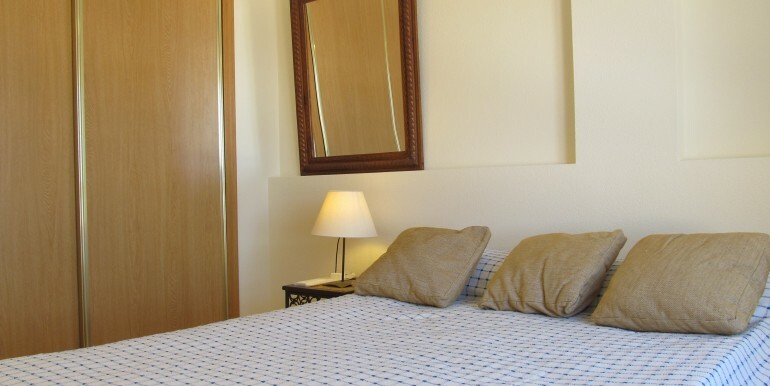 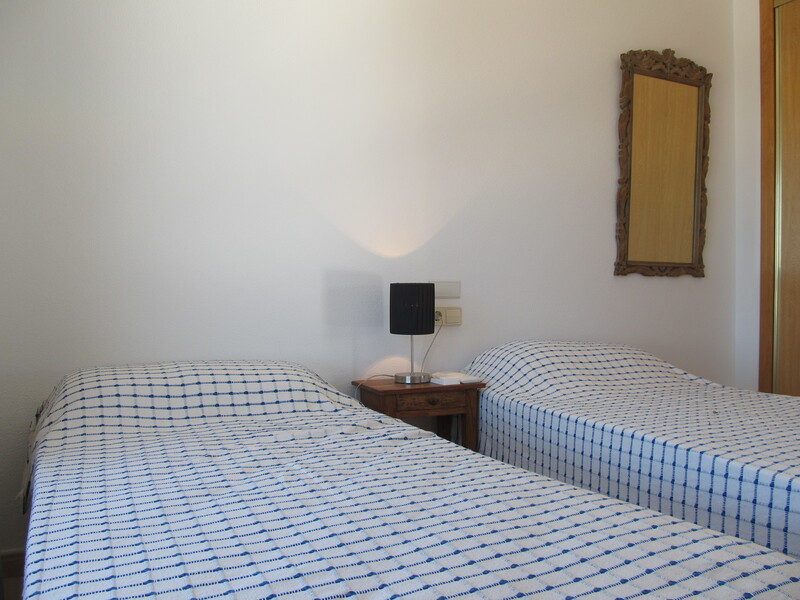 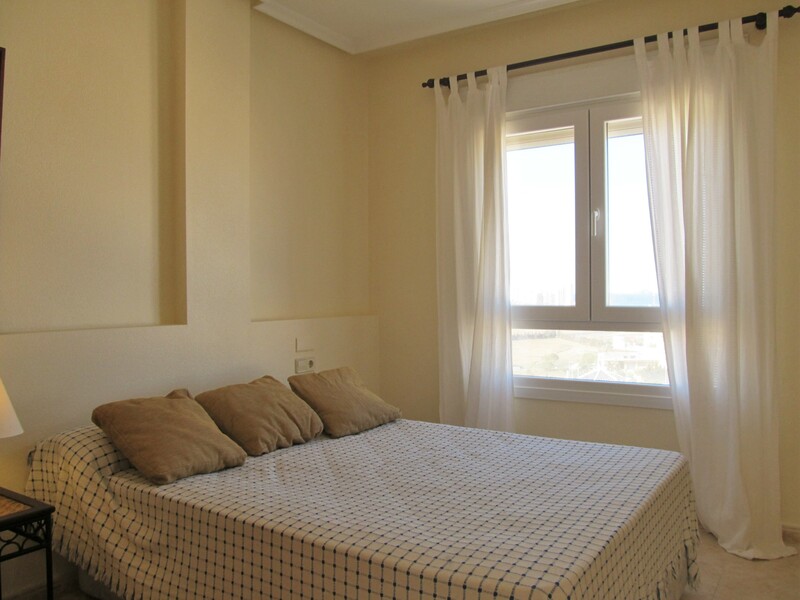 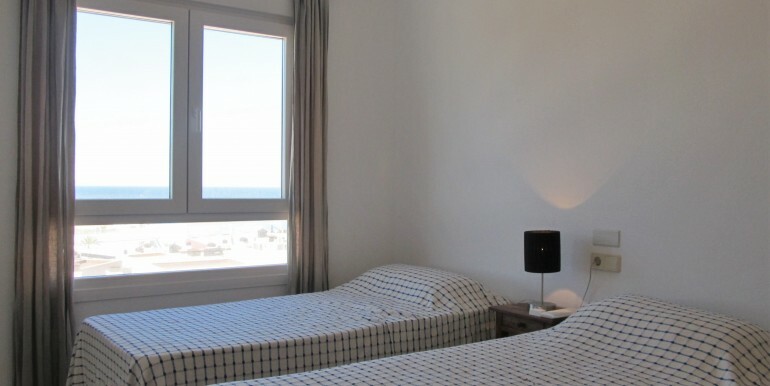 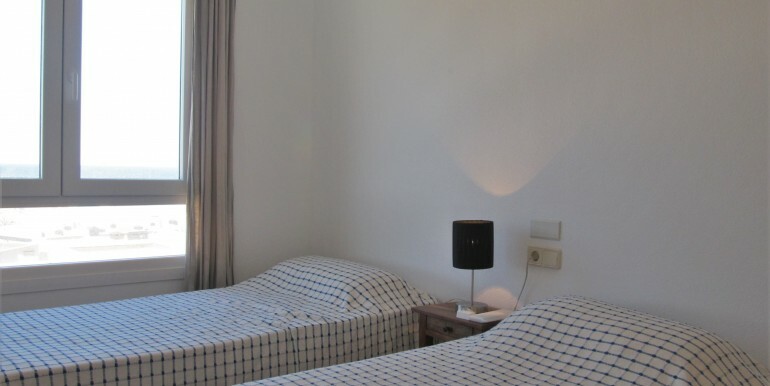 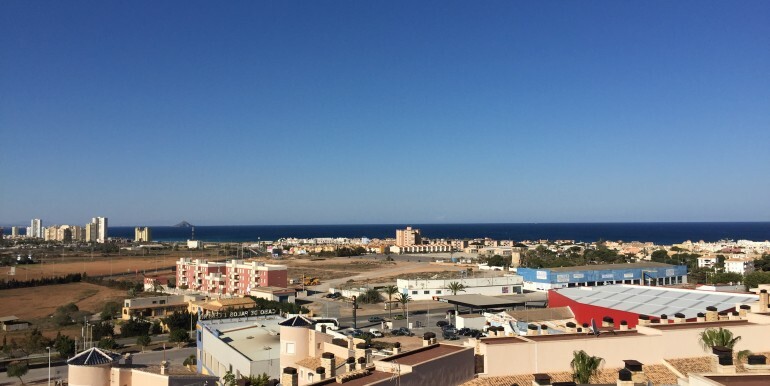 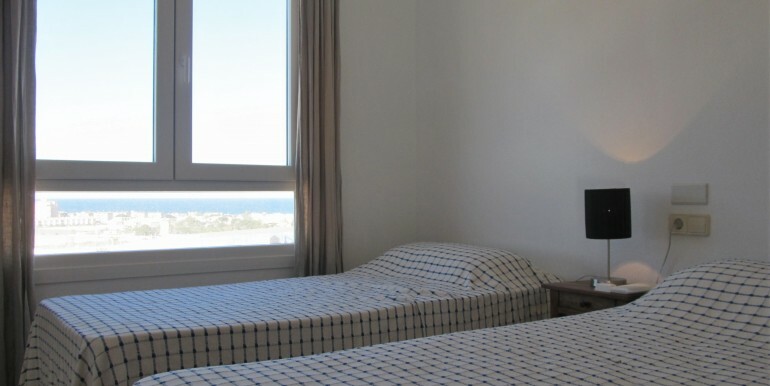 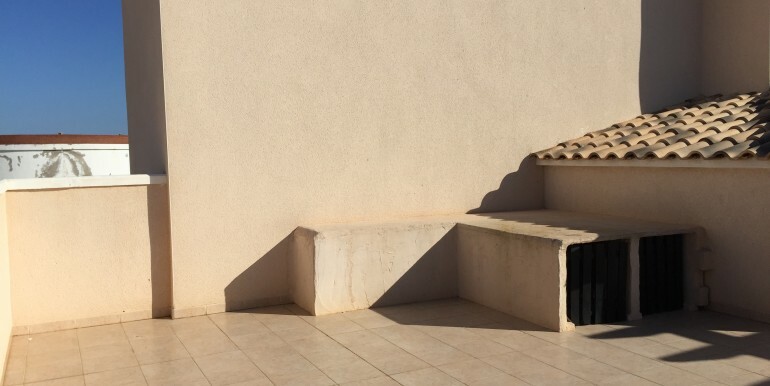 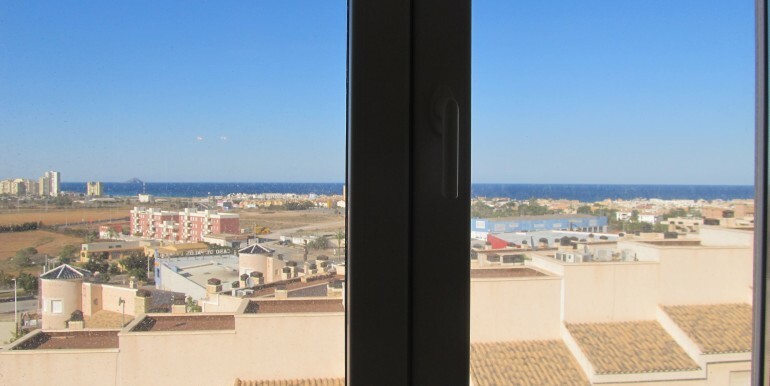 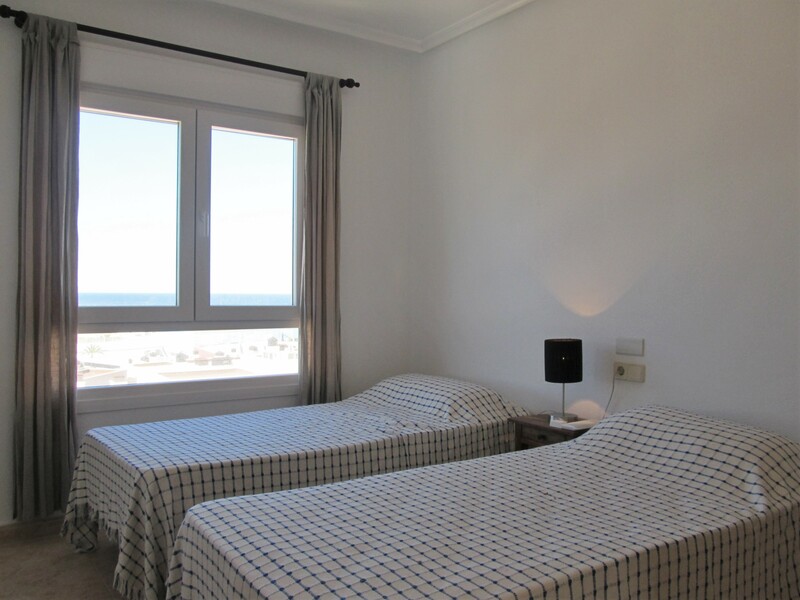 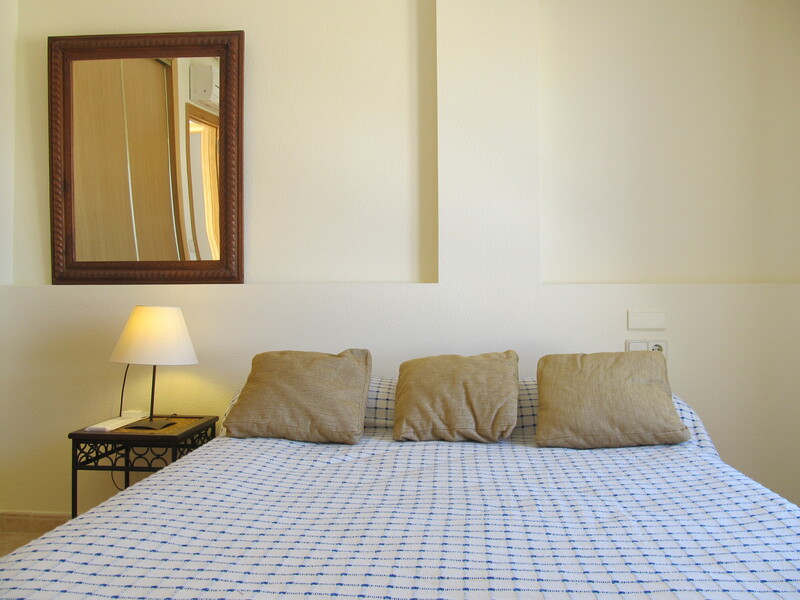 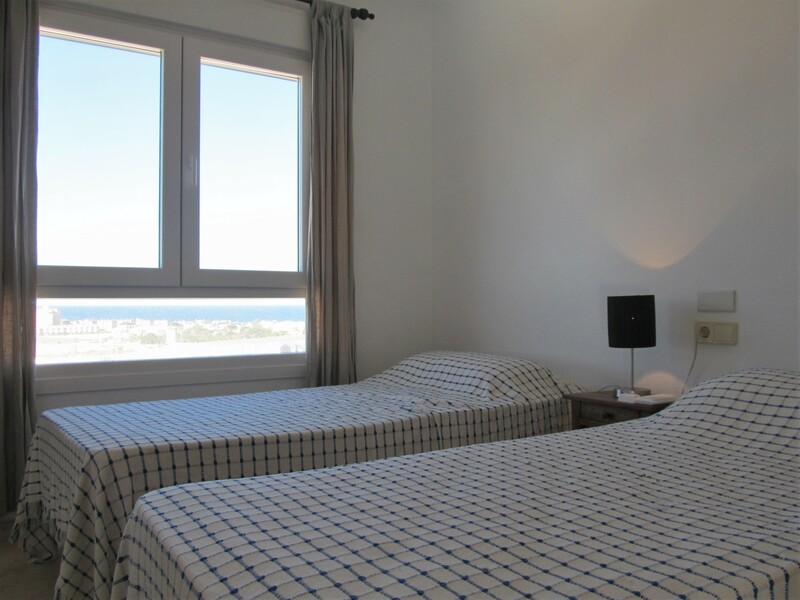 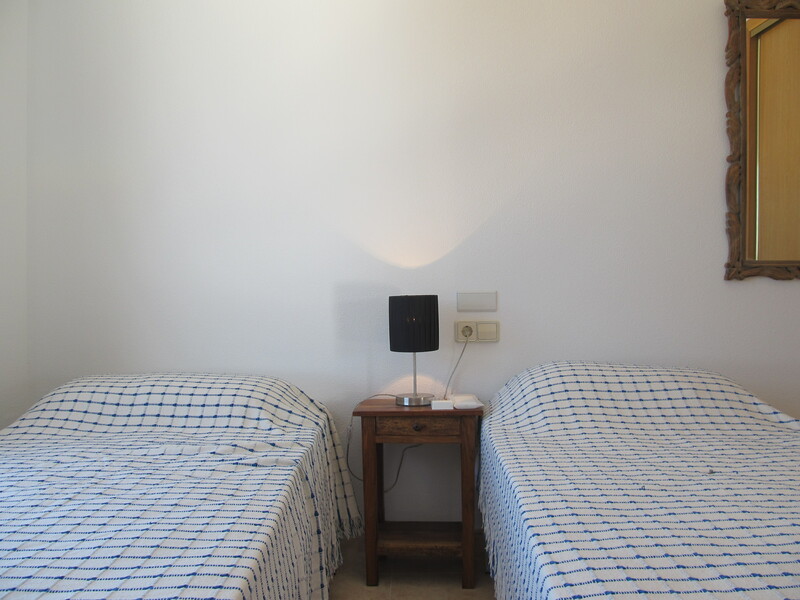 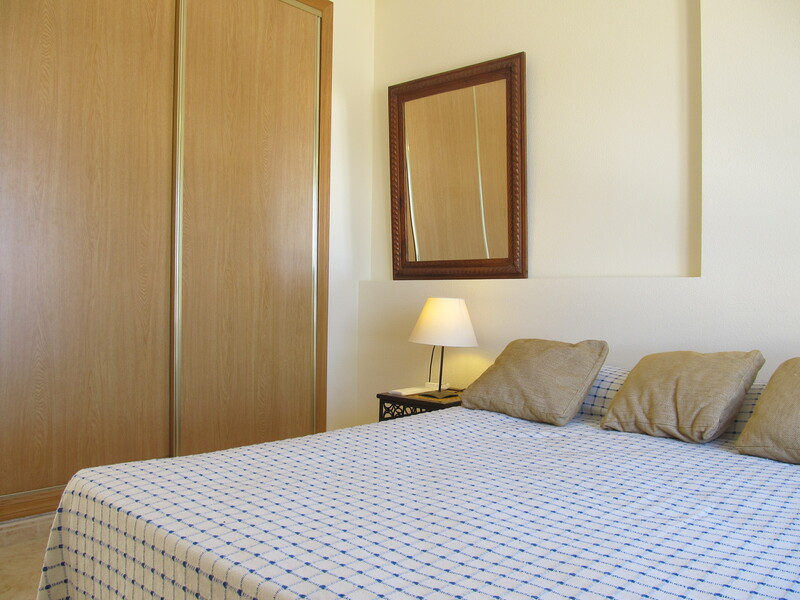 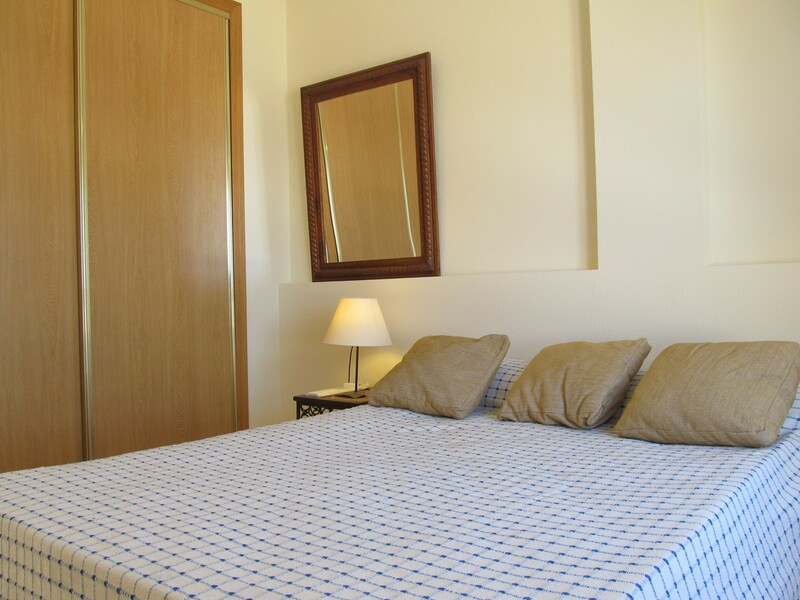 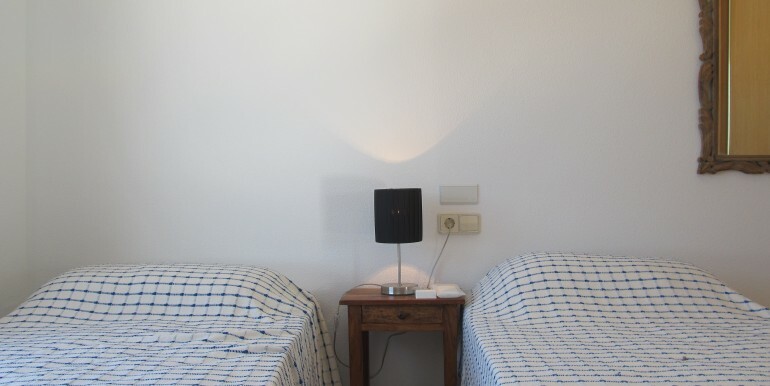 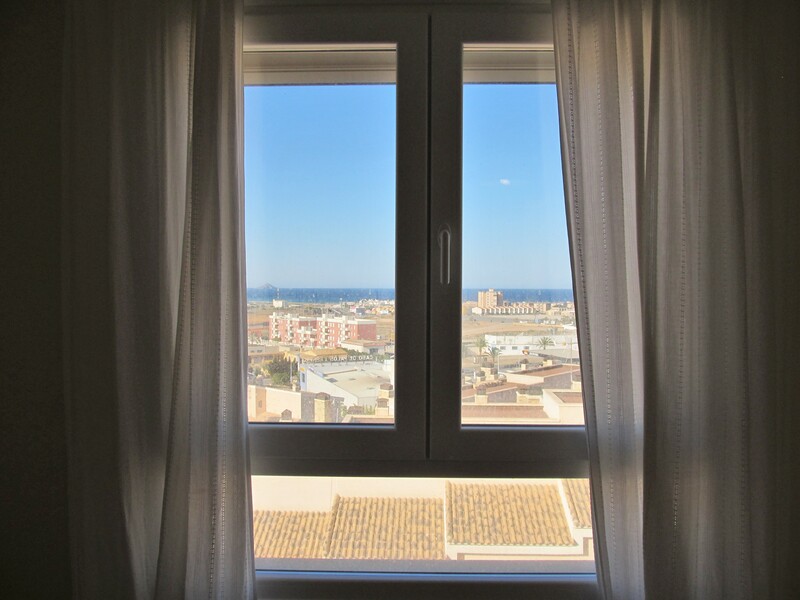 All necessary services are to hand: bars, restaurants and a big supermarket is only a few metres away from the apartment, the closest beach is 5 minutes away, Cabo de Palos and its beaches are less than 1km from the apartment. 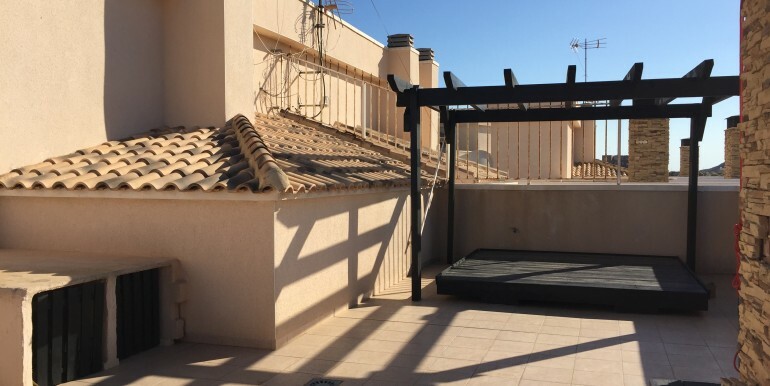 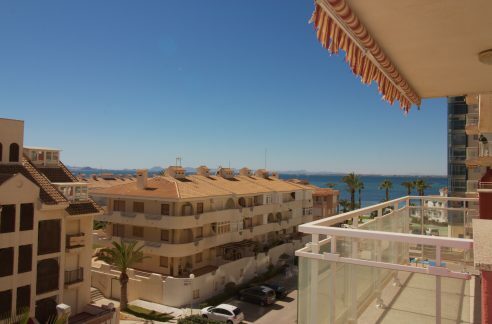 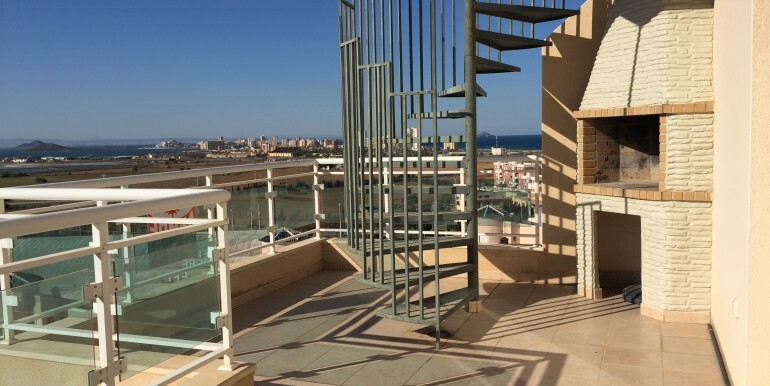 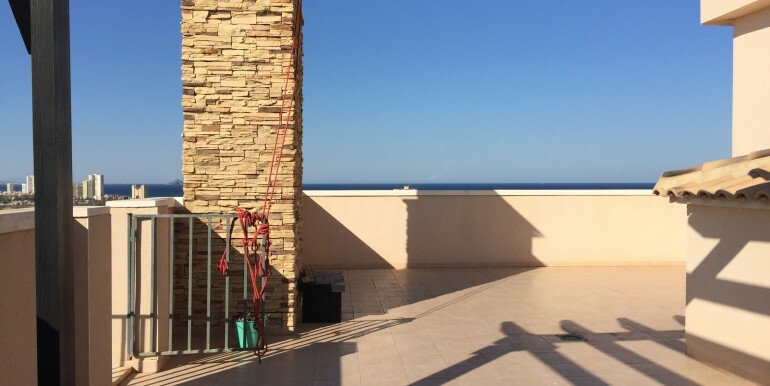 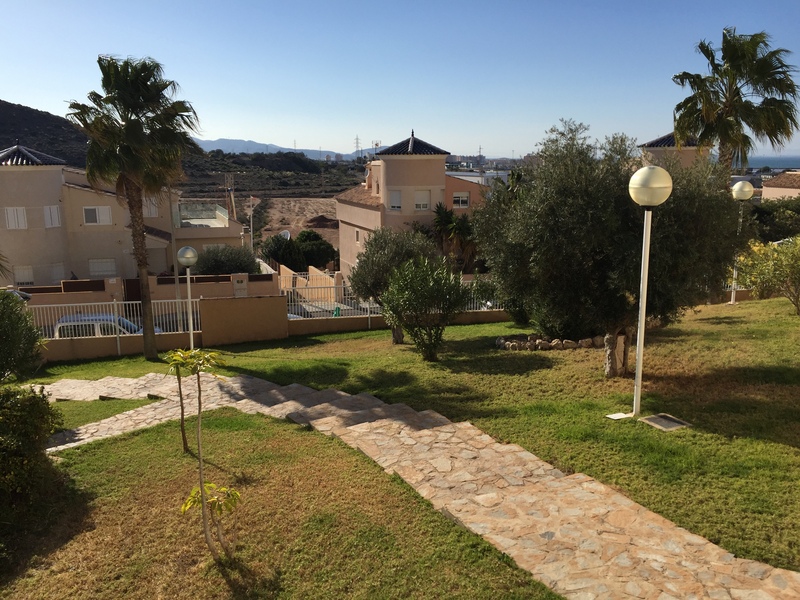 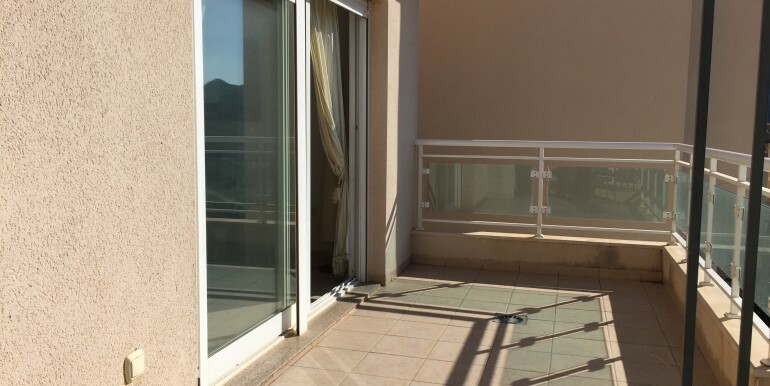 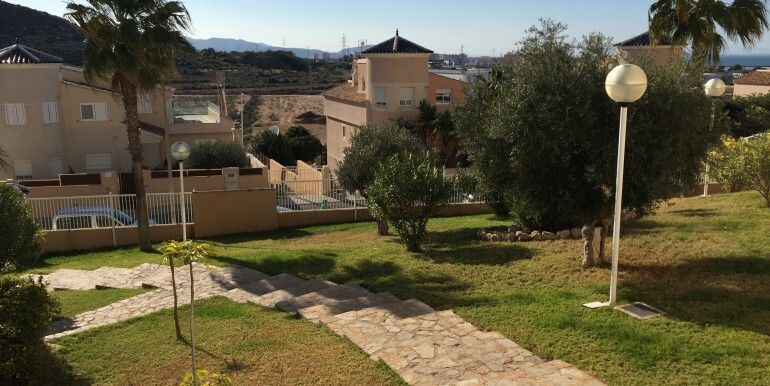 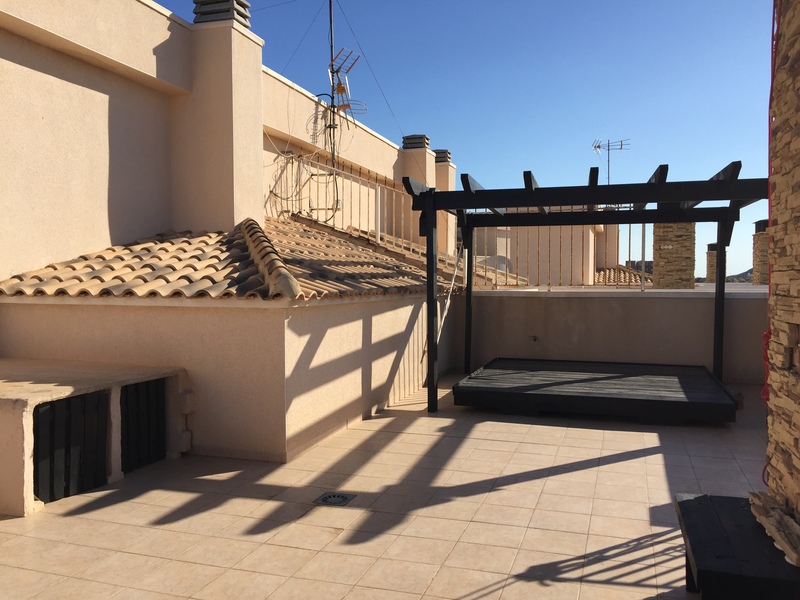 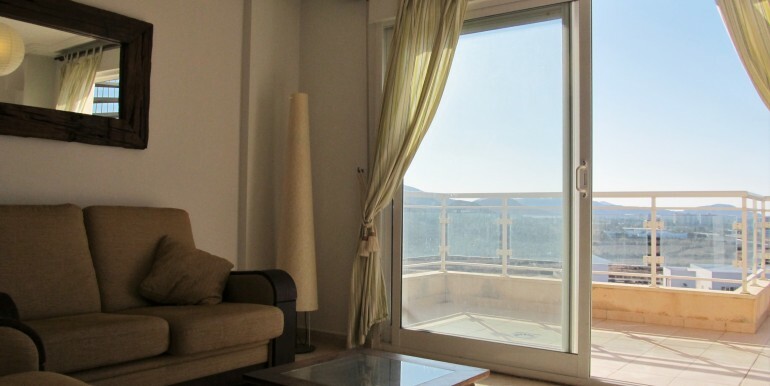 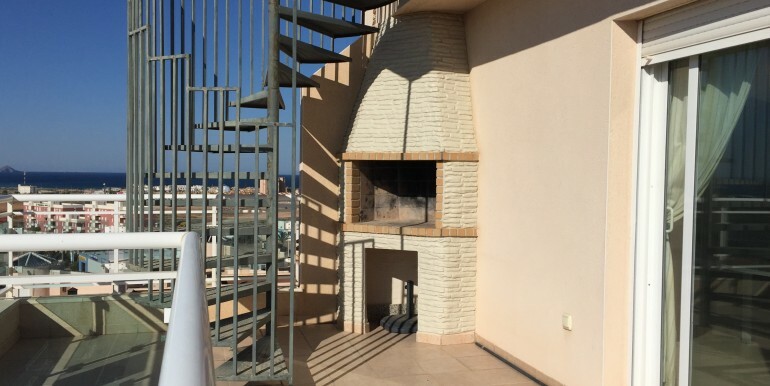 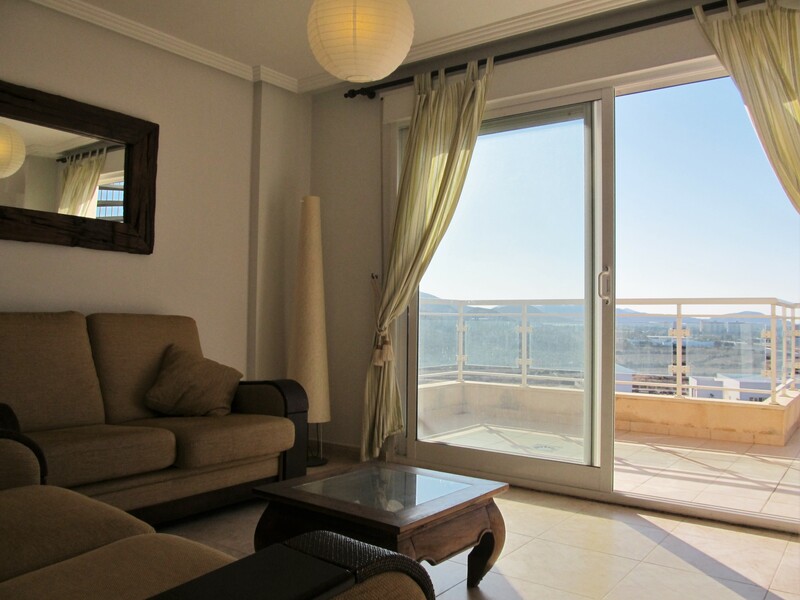 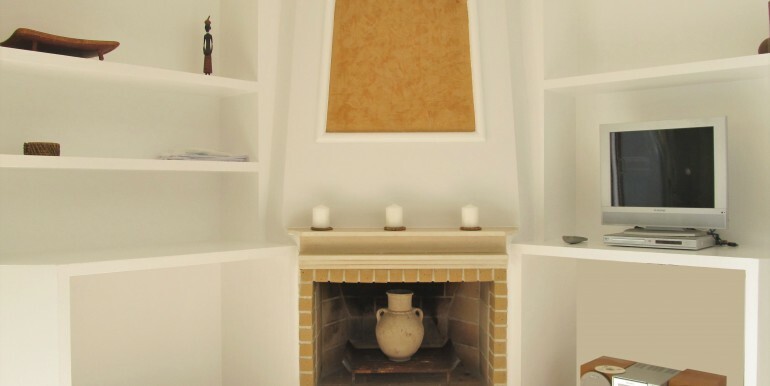 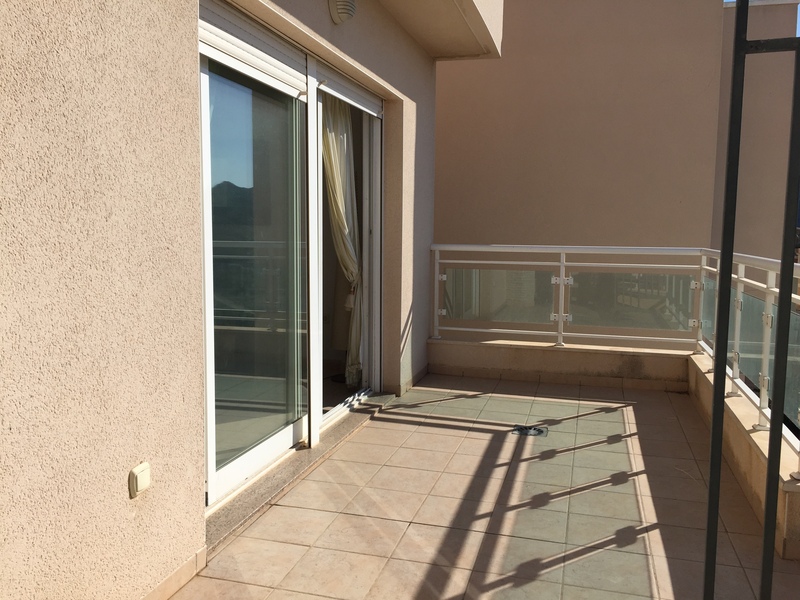 Lovely apartment with views & ample terrace! 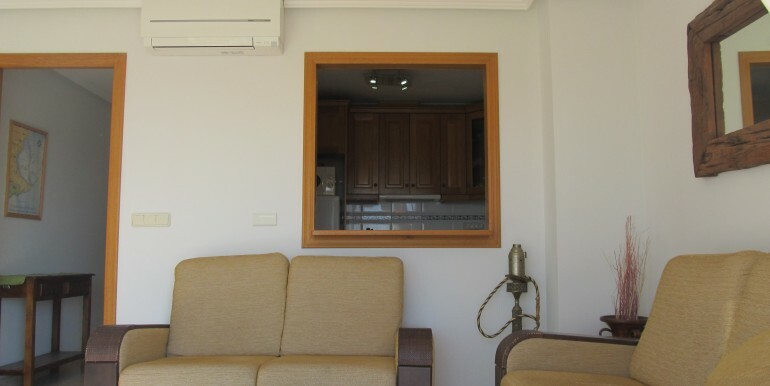 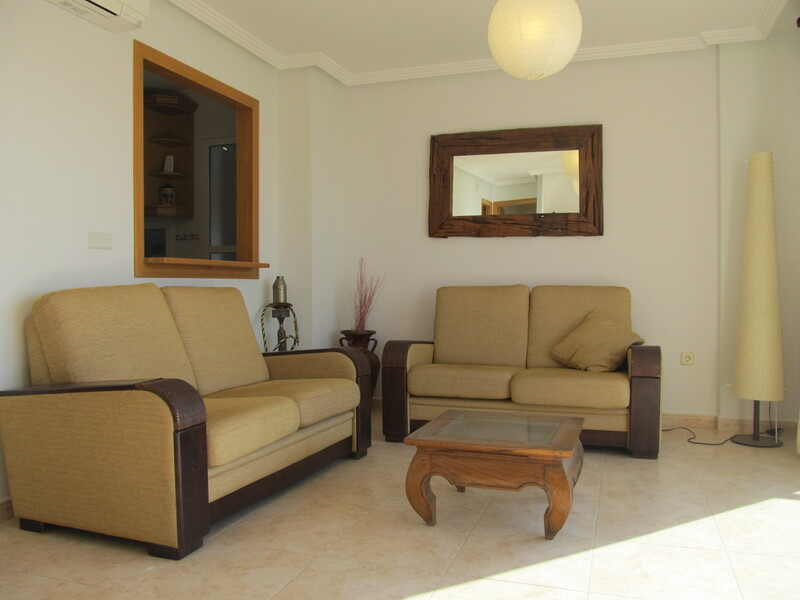 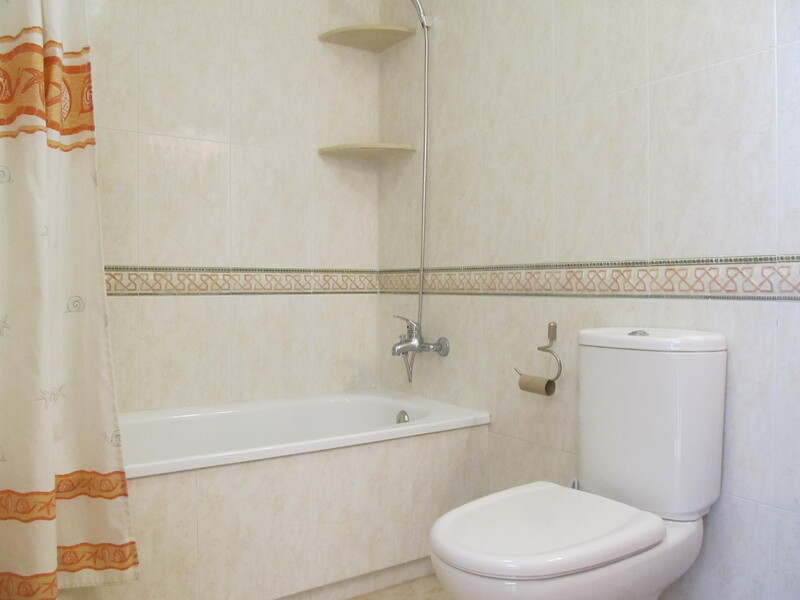 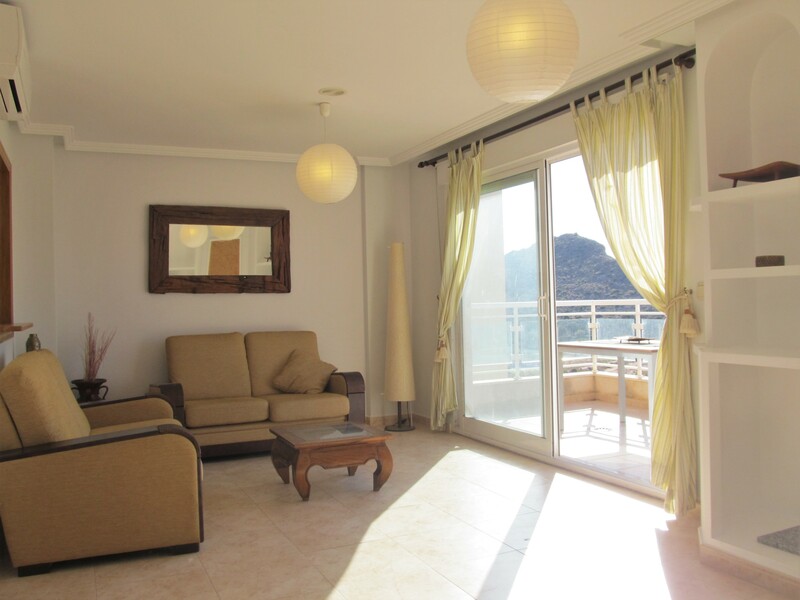 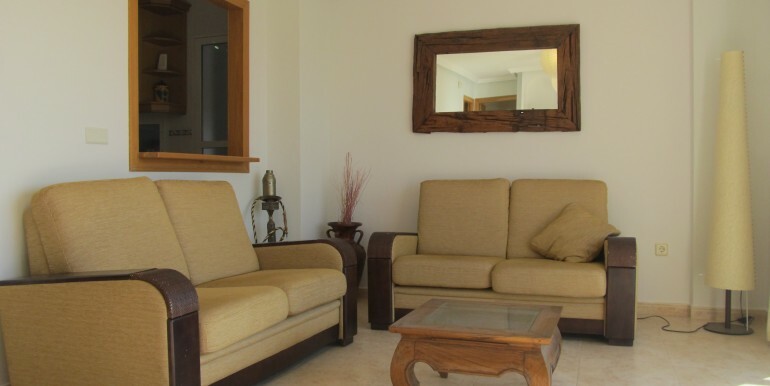 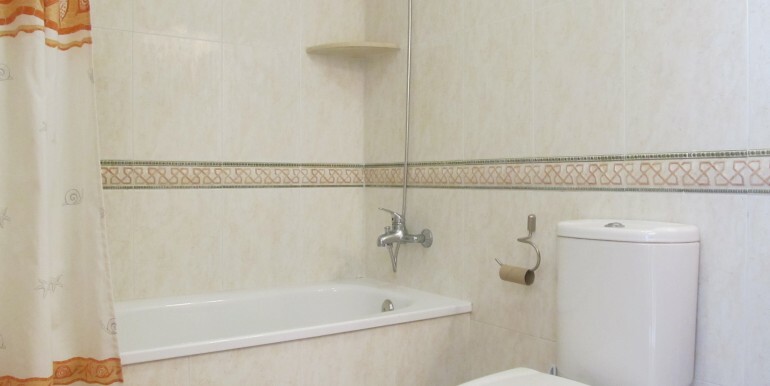 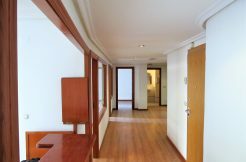 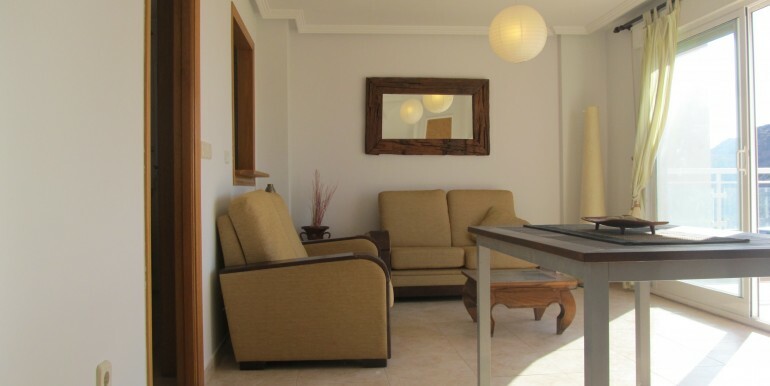 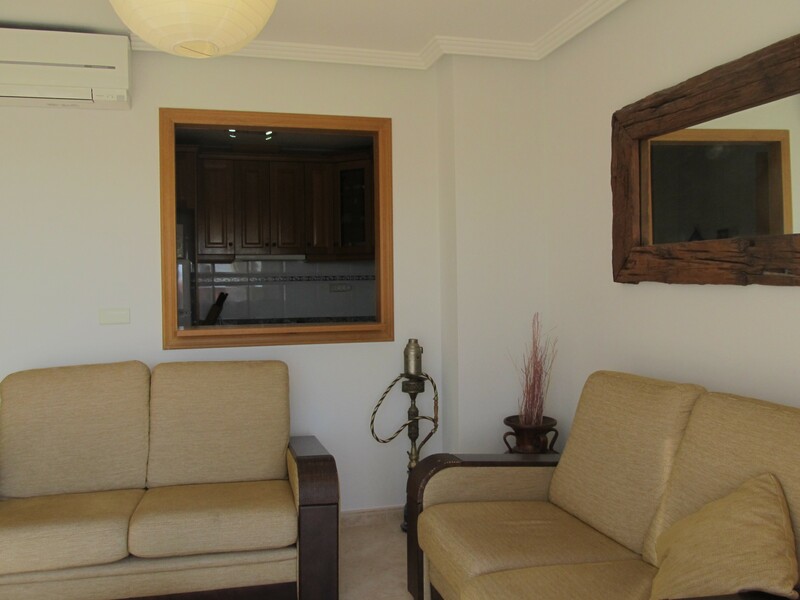 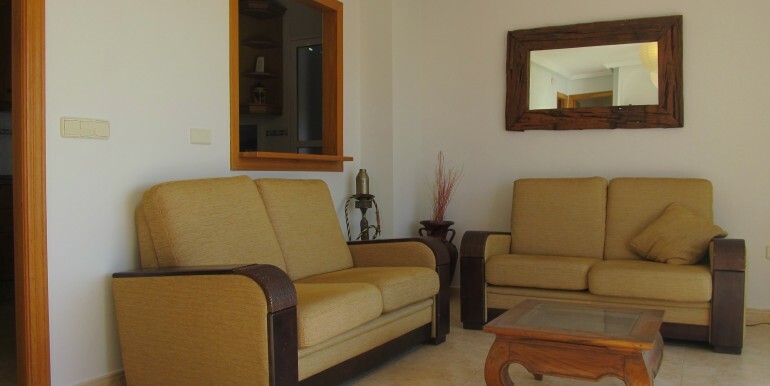 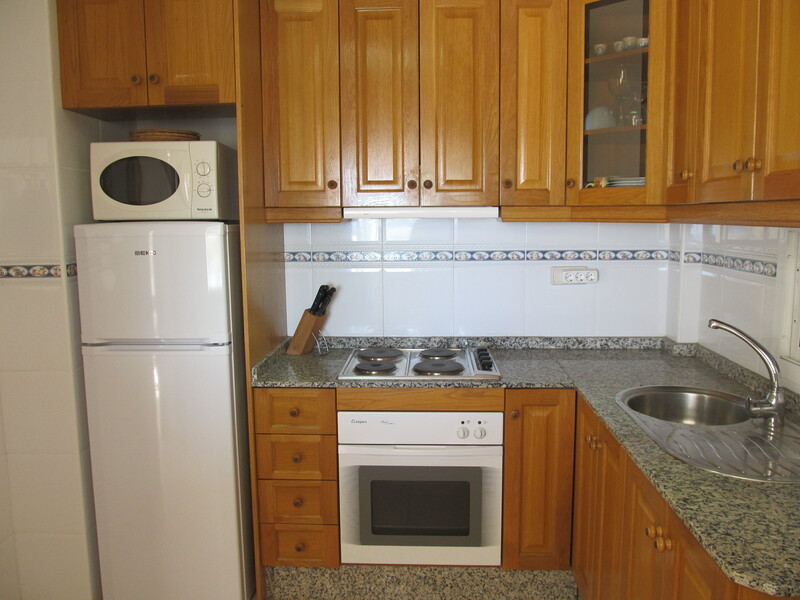 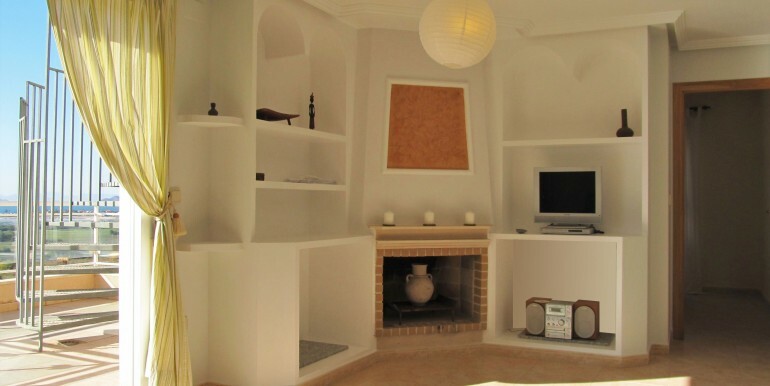 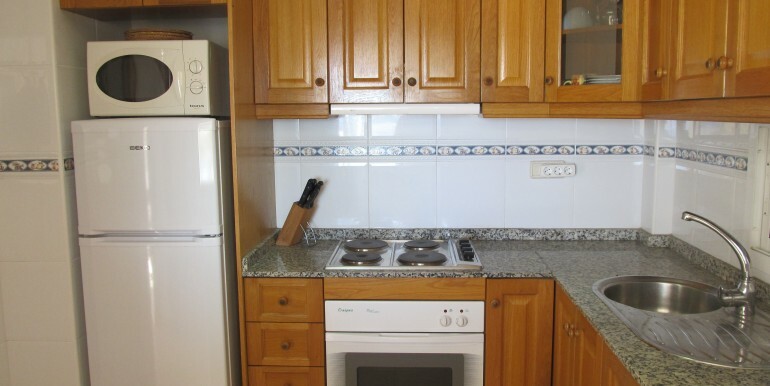 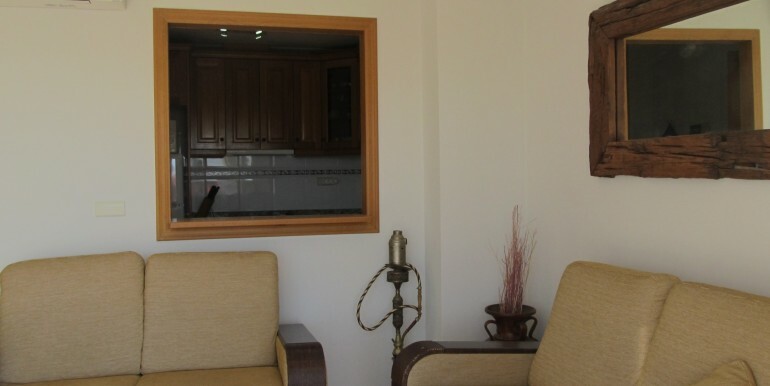 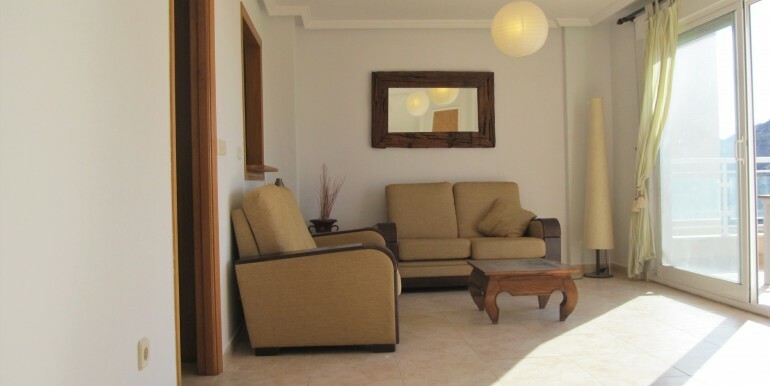 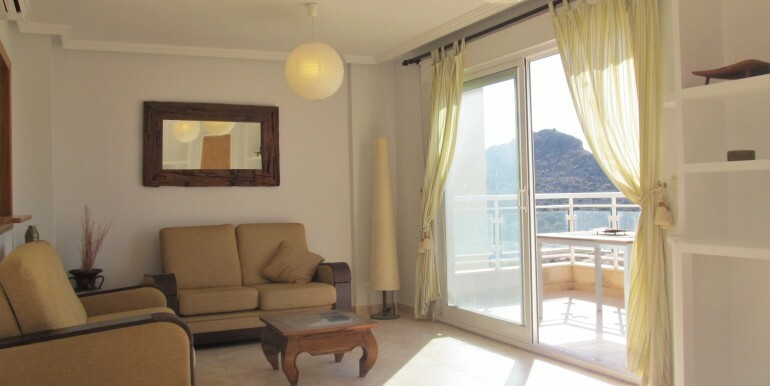 Three bedroom apartment in Luz Bahía – Reduced price!